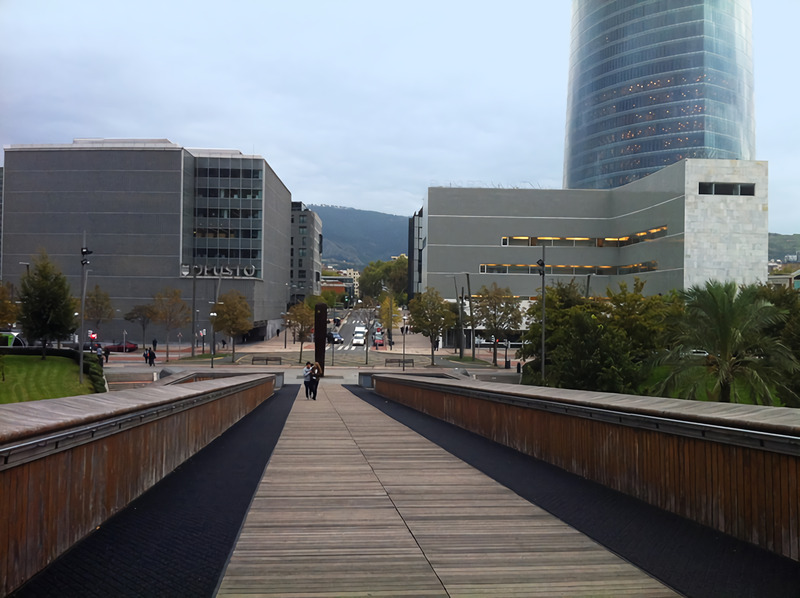 WALK 2. 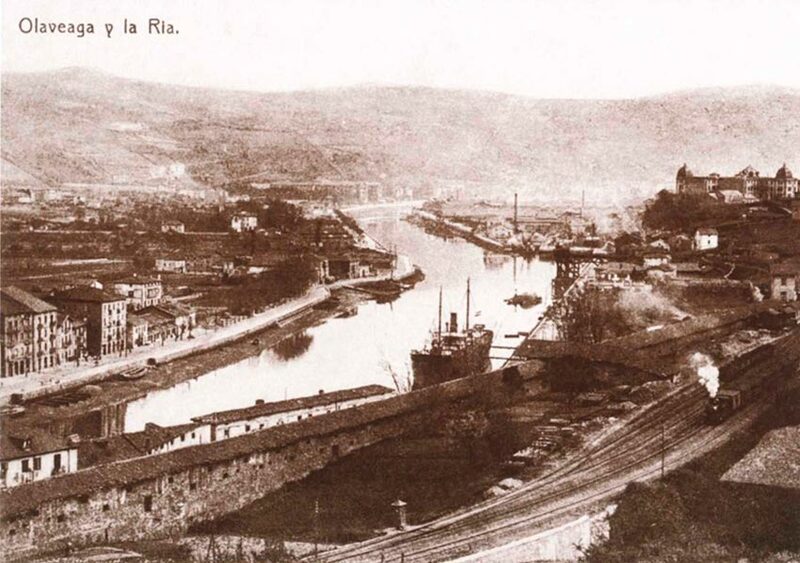 INDUSTRY AND RIVER IN THE "BOTXO"
Industry and river in the "botxo "
Botxo: popular name by which the City of Bilbao is known, because of its position in a ‘hole’, surrounded by mountains. 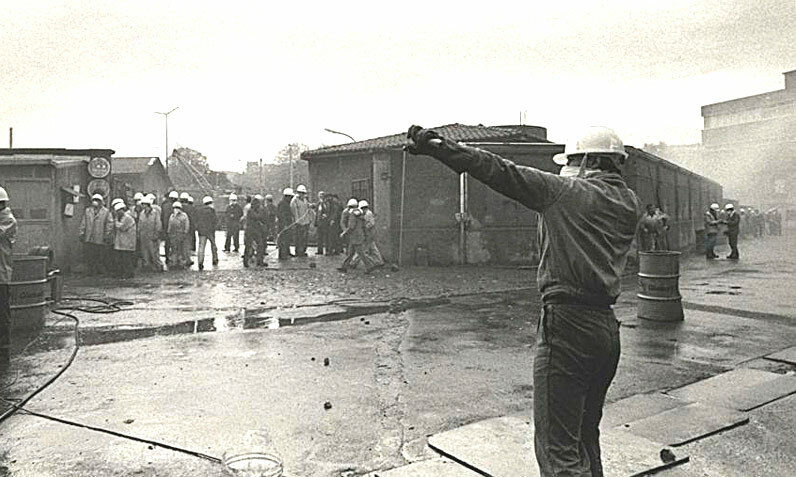 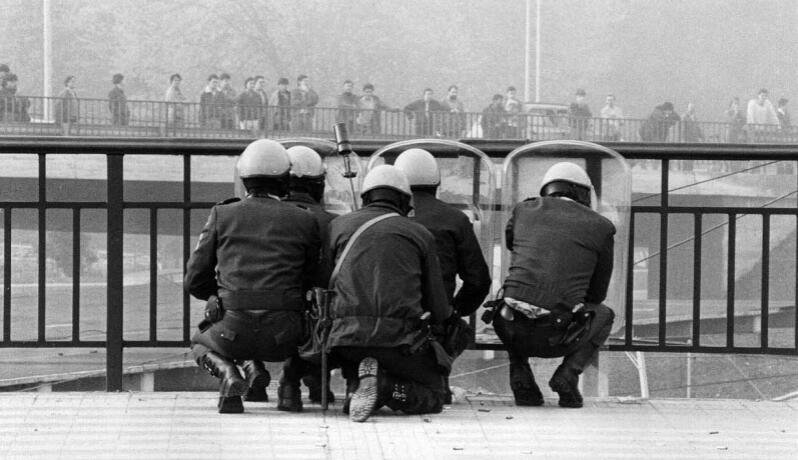 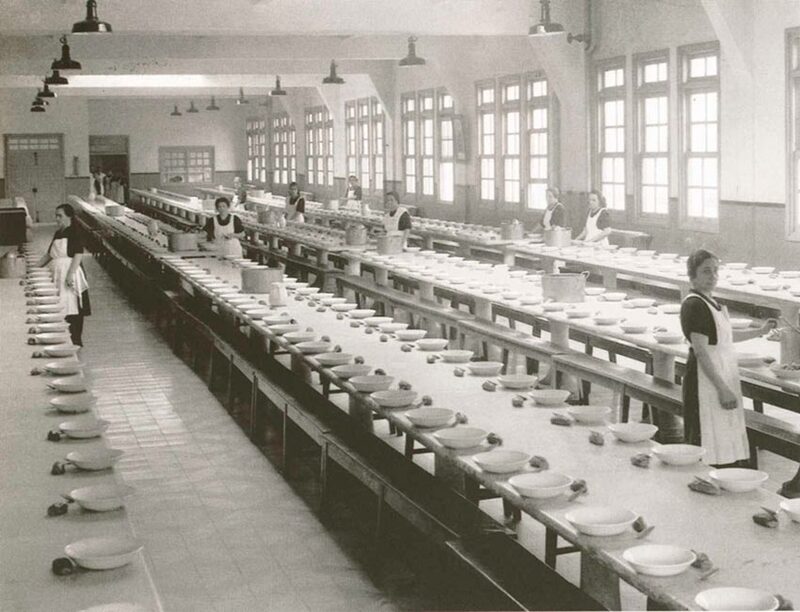 One of the most urgent needs arising from industrialization was the need to educate managers. 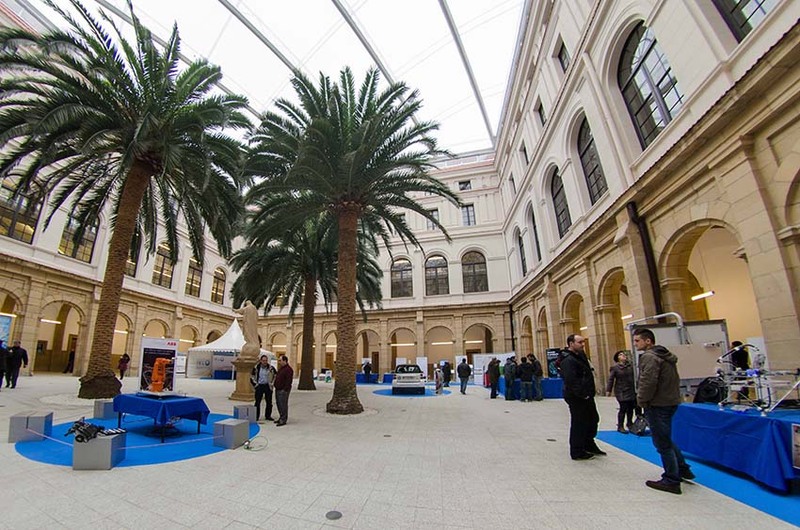 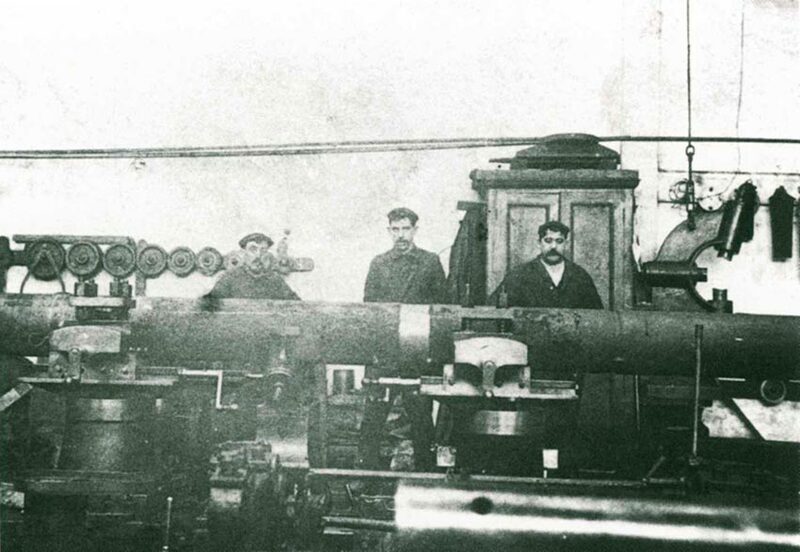 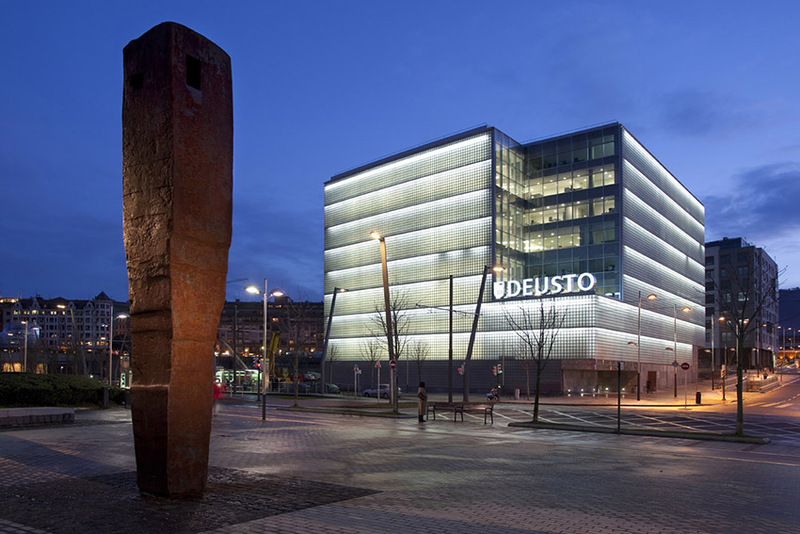 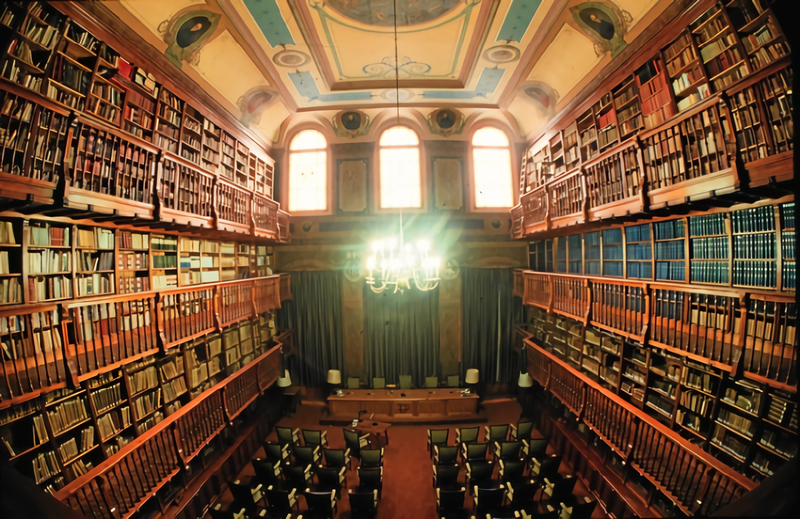 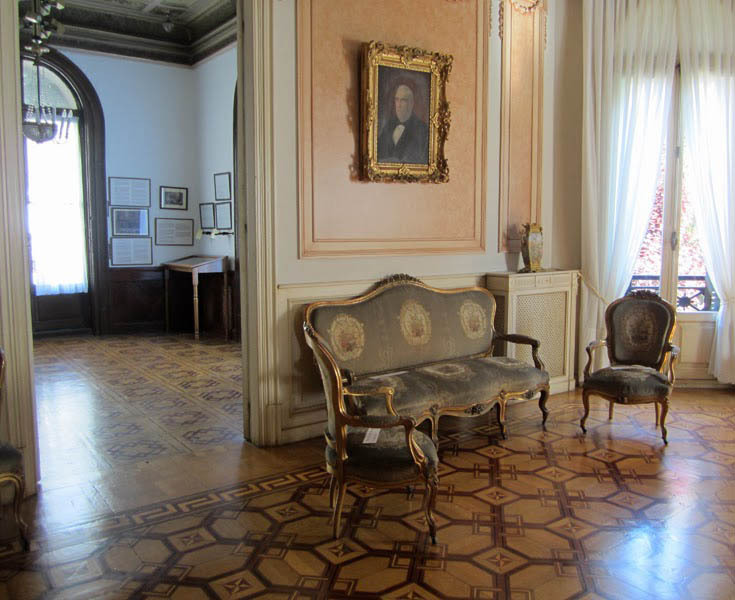 Inaugurated in 1886, Deusto University was the answer to this demand (1). 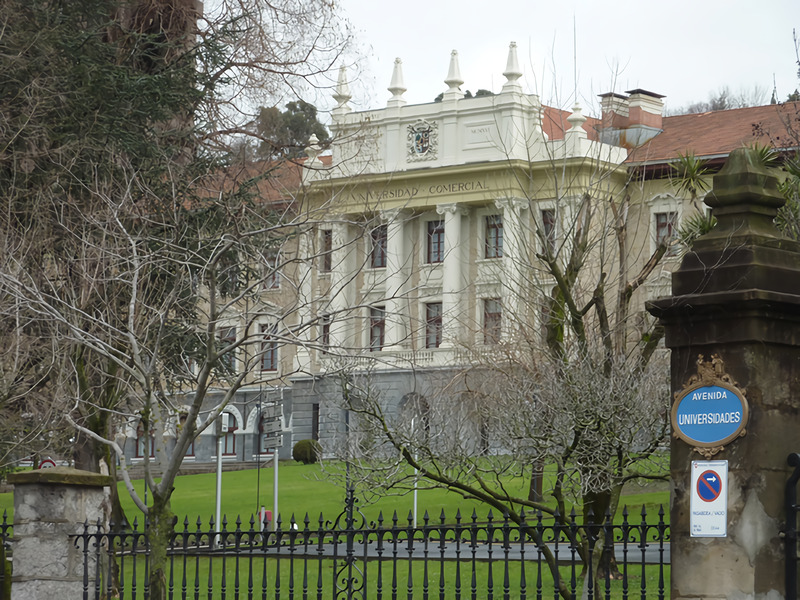 Run by the Jesuits, one of the faculties with the highest profile is the Business School, which was founded in 1916. 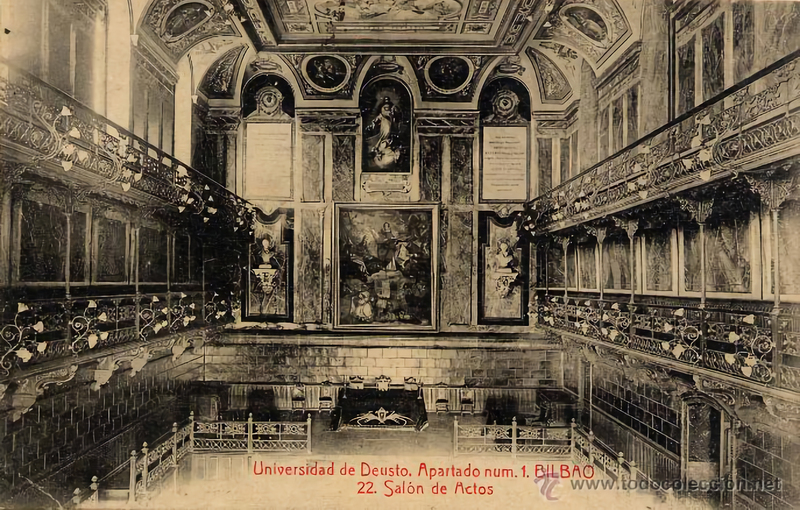 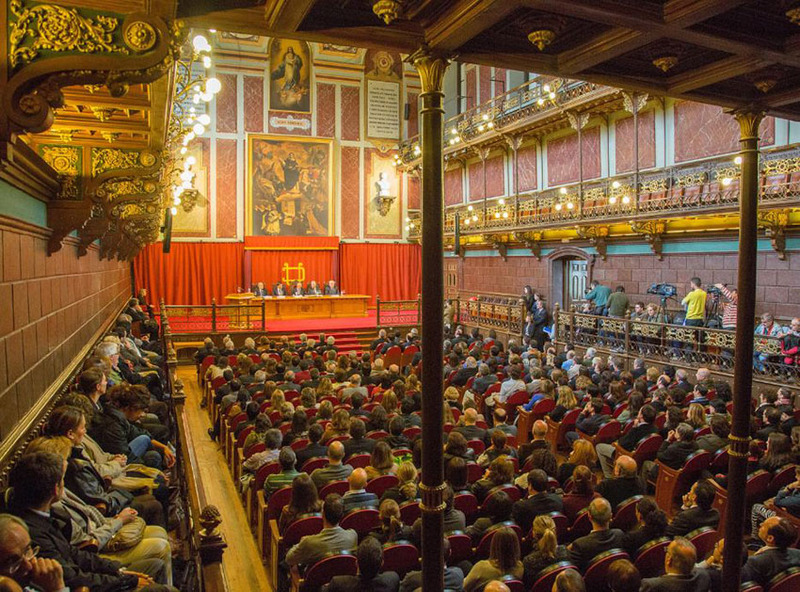 The first graduates from this part of the university were ahead their time, as it was not possible to study Economics in the rest of Spain for another twenty-five years. 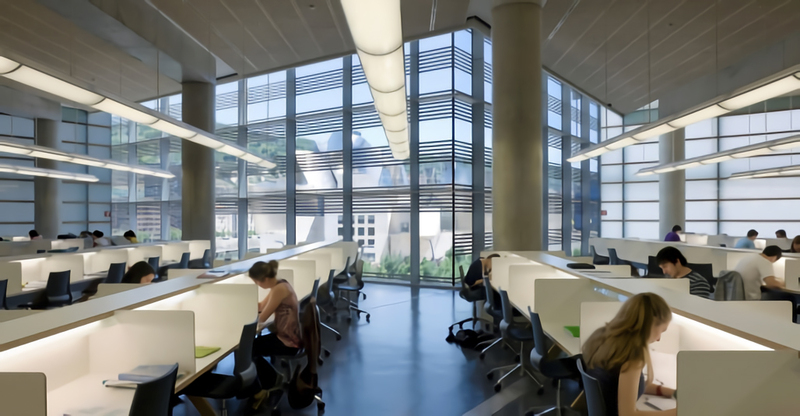 It is made up of several buildings, from the oldest, known as La Literaria (by José María Basterra and the Marquis of Cubas), where law studies are taught, to the newest, the library, which opened in 2009. 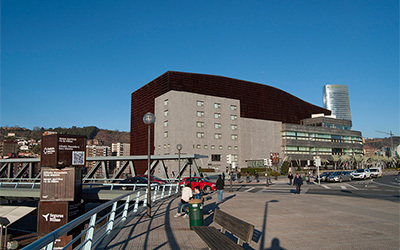 Designed by Rafael Moneo, it is located next to the Guggenheim and is across the street from the auditorium of the UPV-EHU (the Basque public university), designed by Portuguese architect Alvaro Siza. 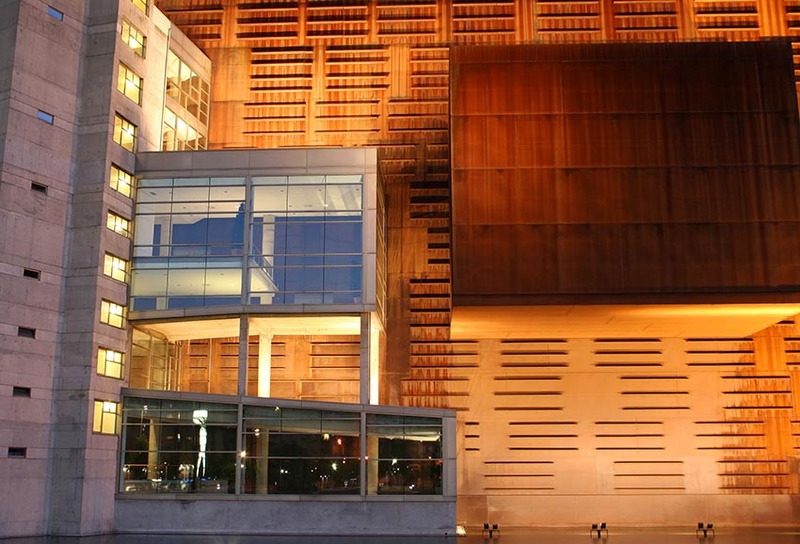 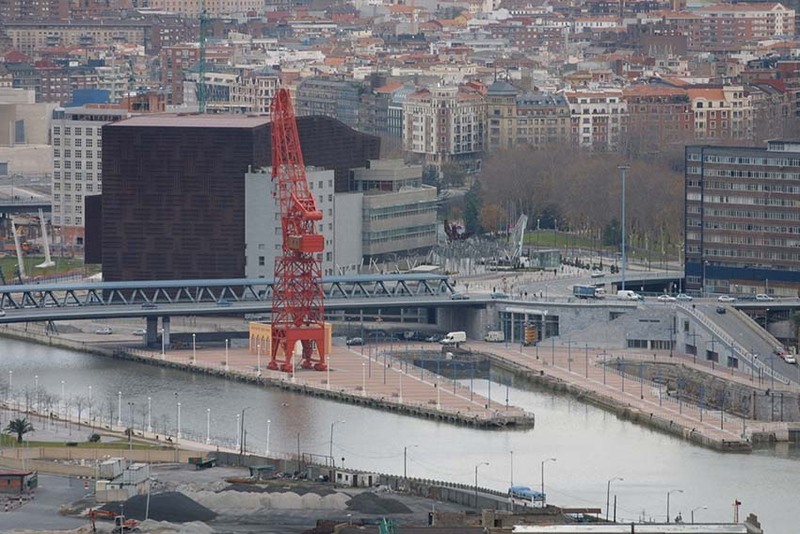 Both architects have won the Pritzker Prize. 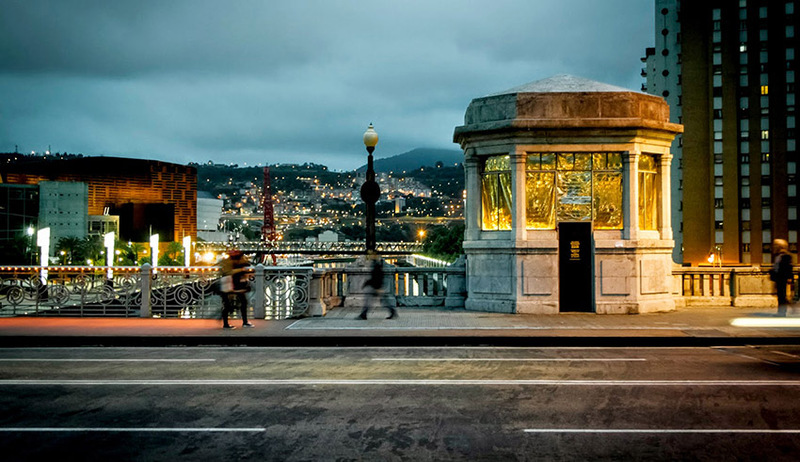 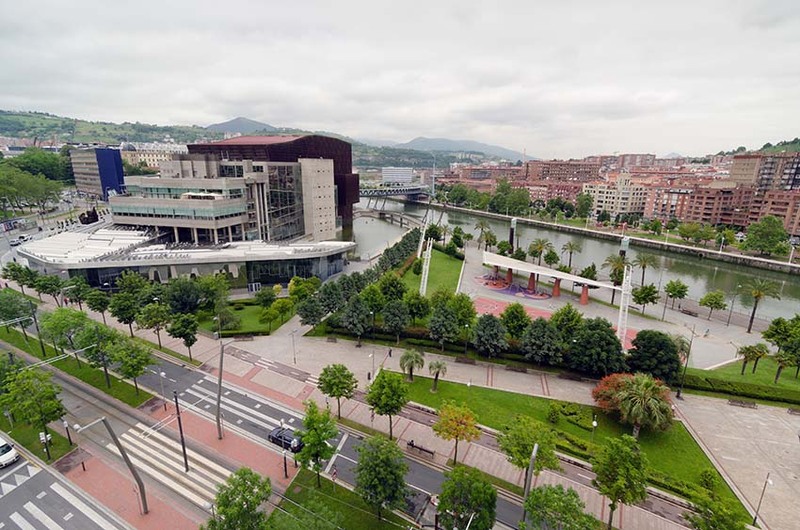 This area is known in Bilbao as Campa de los Ingleses. 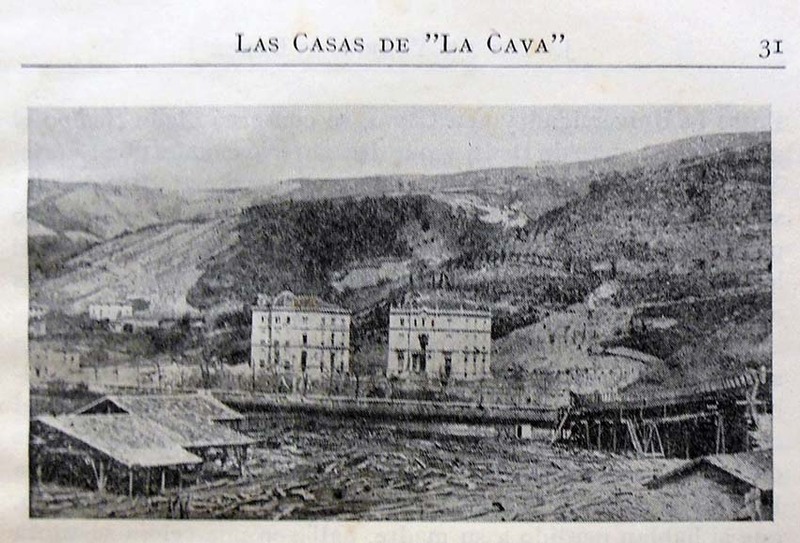 Next to Deusto University, you can see two houses known as the La Cava houses (2). 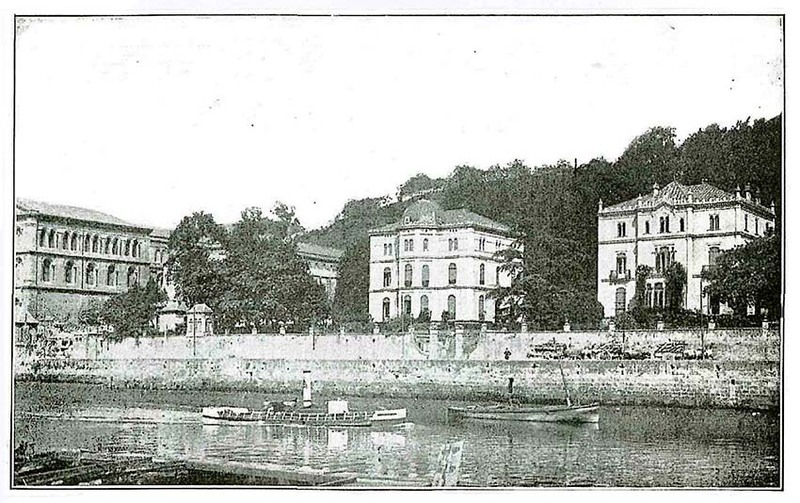 Built in 1869 on a family estate, they perfectly illustrate the movement of the upper classes from the choked-up Old Quarter to the banks of the river before making the leap to Neguri. 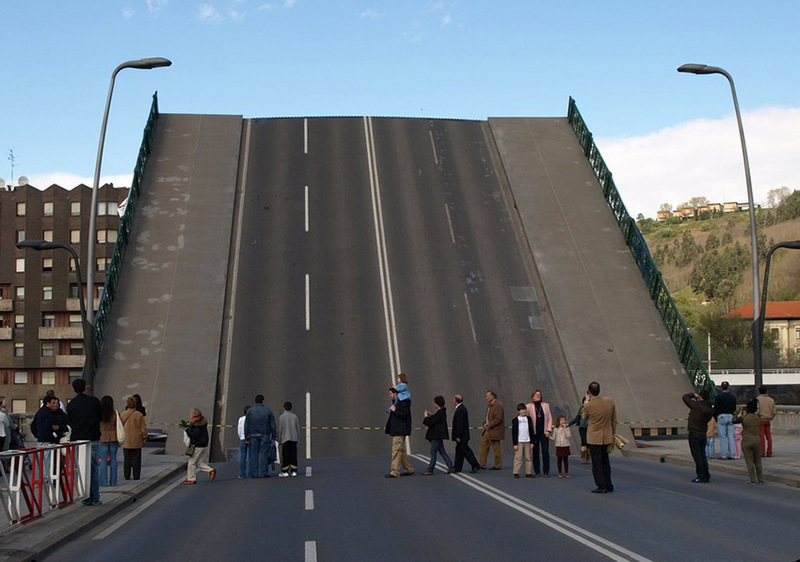 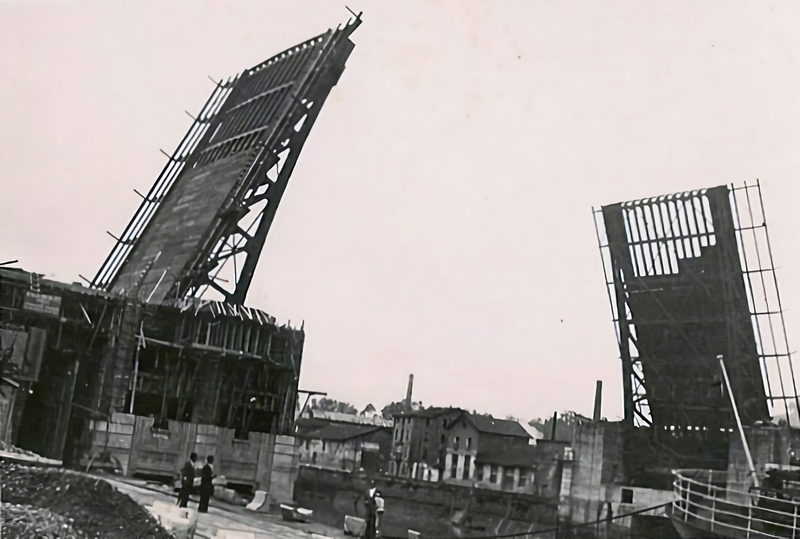 In December 1936, the bascule bridge (3) which had been commissioned five years before was inaugurated; it was designed by engineers Ignacio de Rotaeche and Jose Ortiz de Artiñano with the municipal architect Ricardo Bastida. 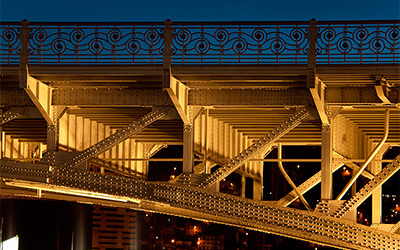 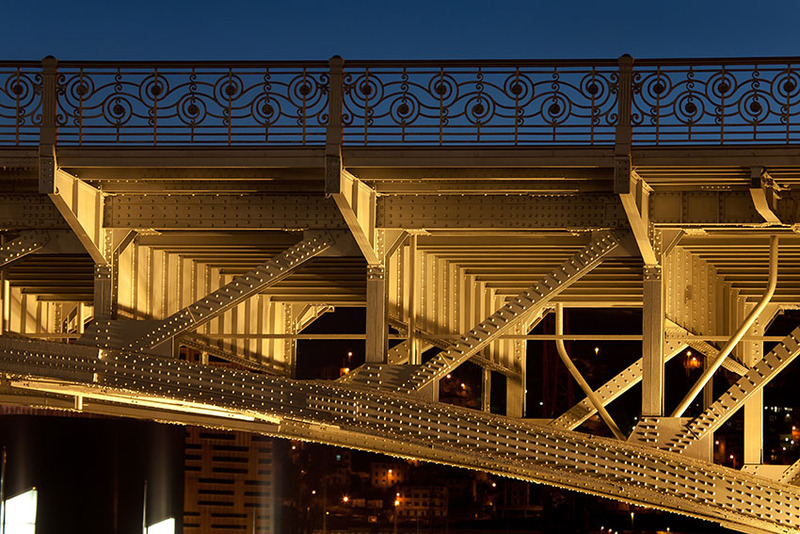 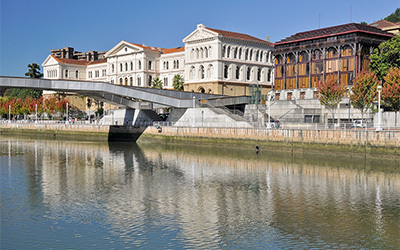 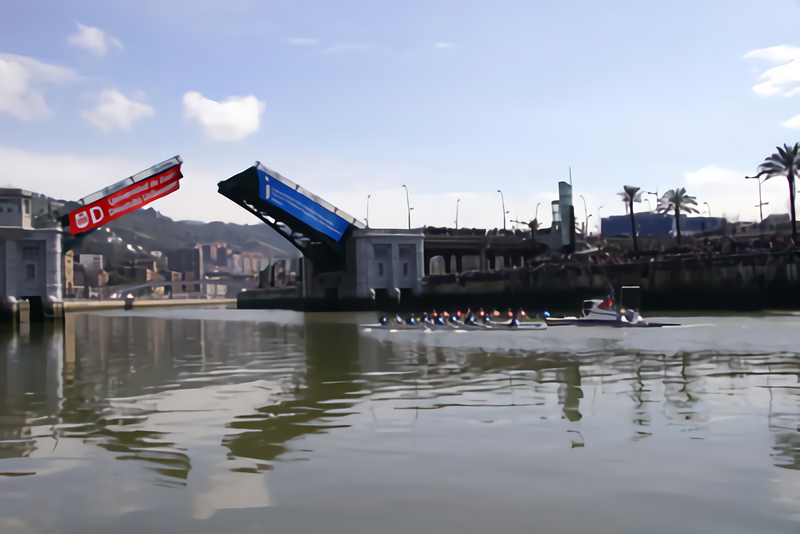 This bridge and the bridge at the City Hall provided a response to the need to unite the historic centre of the town with the new urban developments in the neighbourhoods of Deusto, Begoña and Abando. 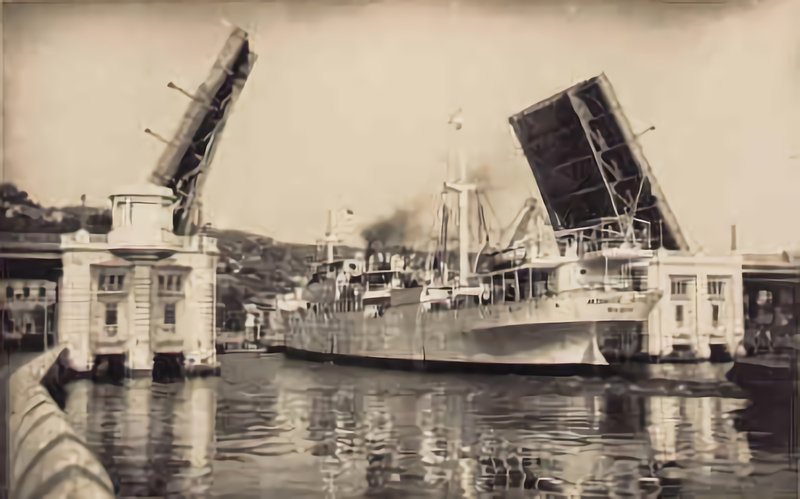 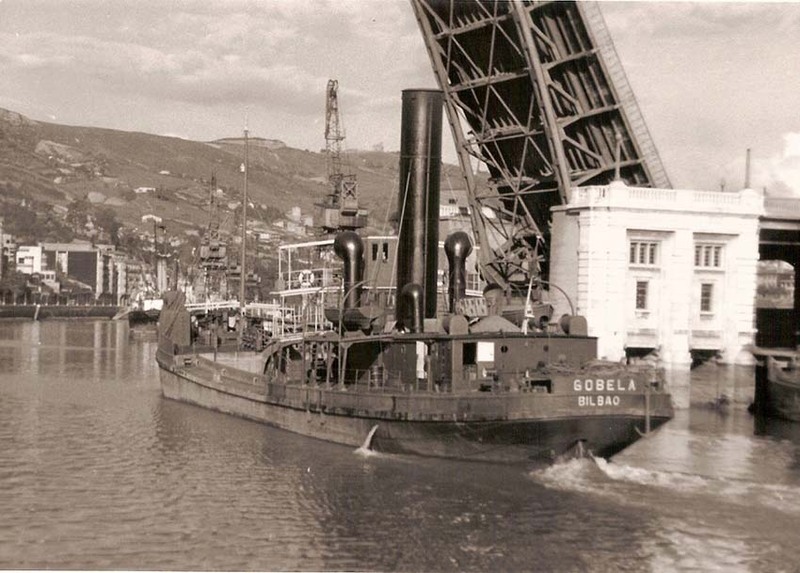 The river traffic, fundamental for the dockwork which was done here at that time until its transfer to the outer harbour of El Abra, conditioned the design of such bridges to allow the passage of ships. 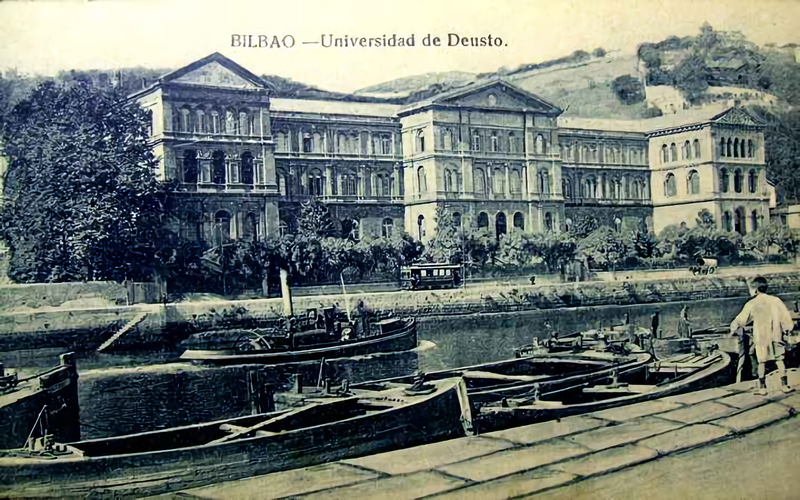 Rebuilt after its destruction in the Civil War (1937), it was renovated in 1974. 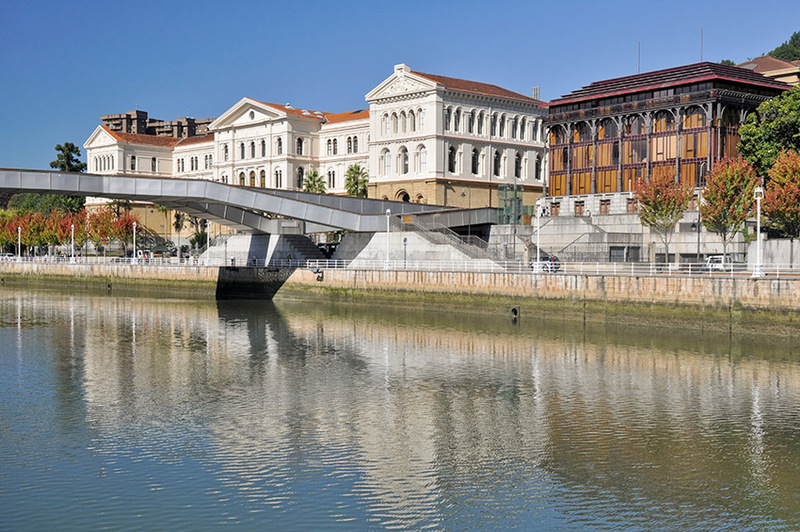 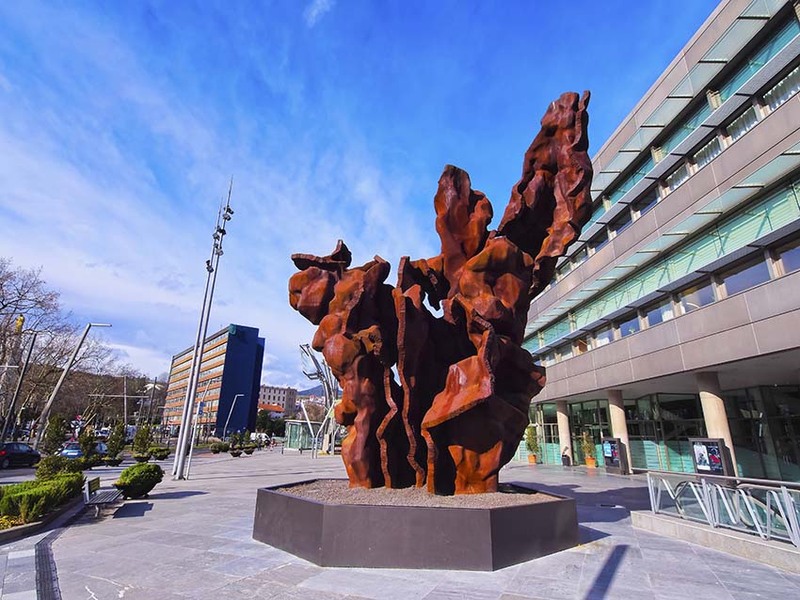 The opening of the leaves was one of the iconic sights of Bilbao until 1995; now, however, it only opens for very special city celebrations. 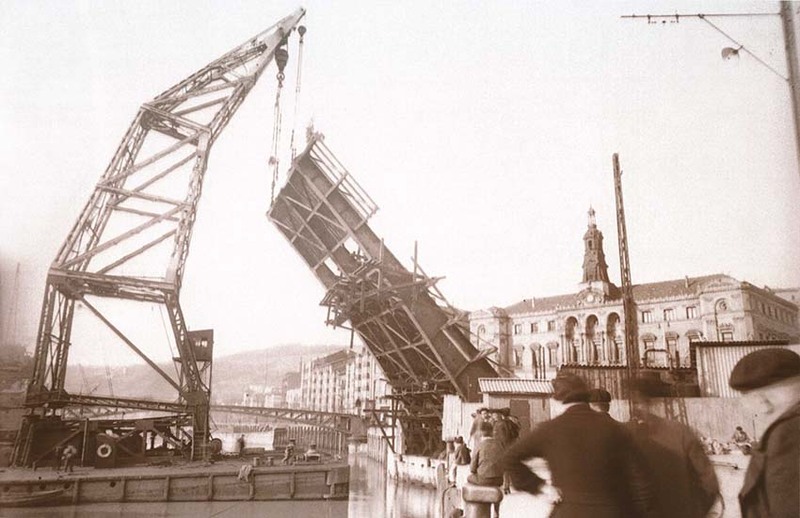 The total length of the bridge is 500 m with a span of 48 m narrowing the channel of the river, which at this point is 71 m, with concrete buildings on each side where the lifting machinery is located. 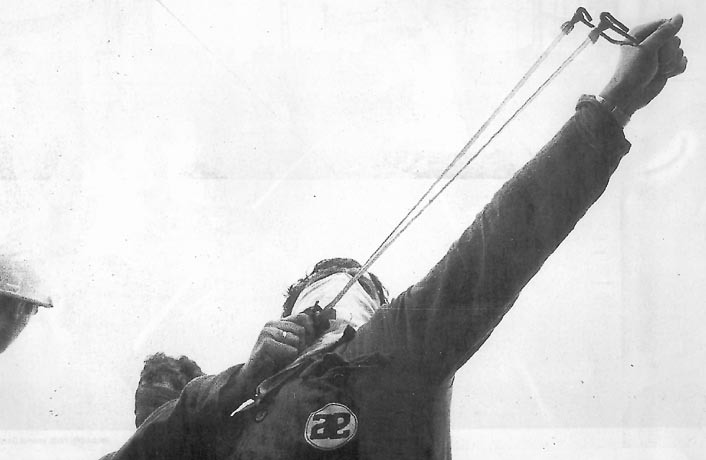 The leaves swing open to an angle of 70°. 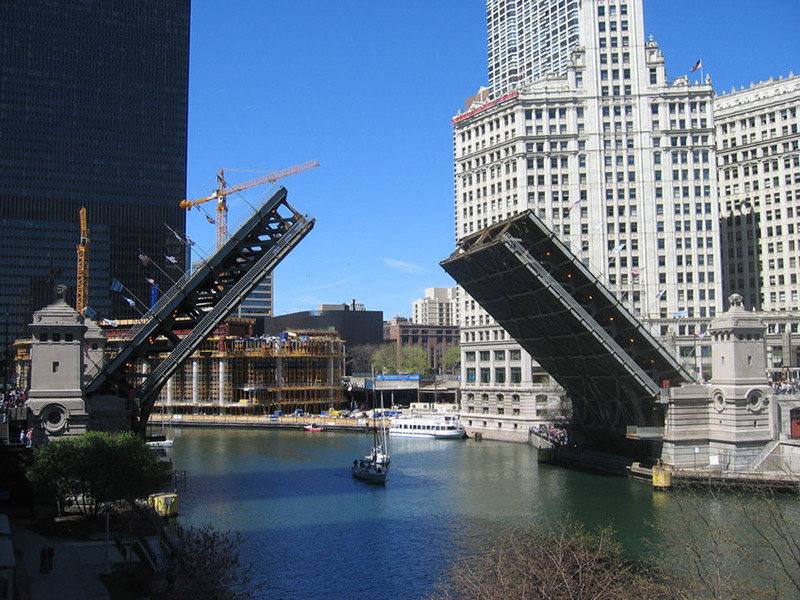 It has 27 bays, 11 of which cross the river. 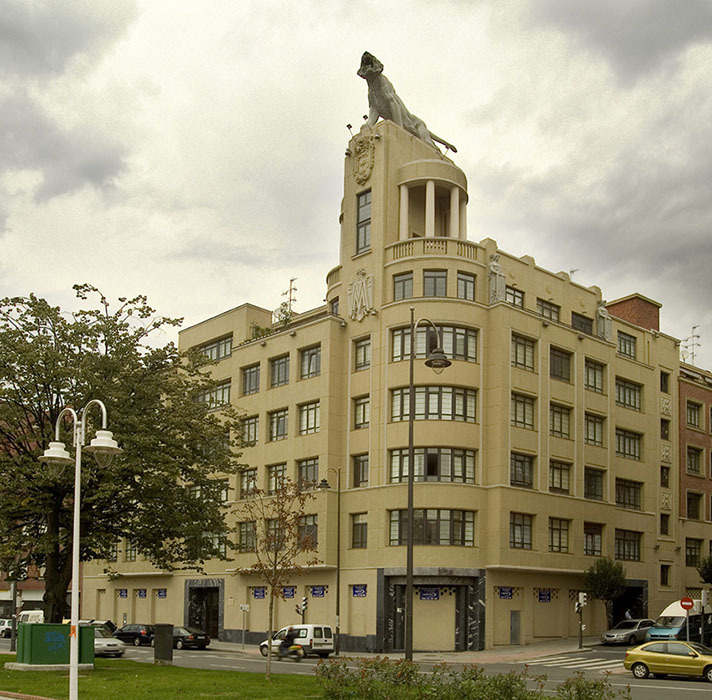 Walking along the Abandoibarra riverwalk towards the Euskalduna Palace, we see a building topped by a large sculpture of a tiger on the opposite bank (4). 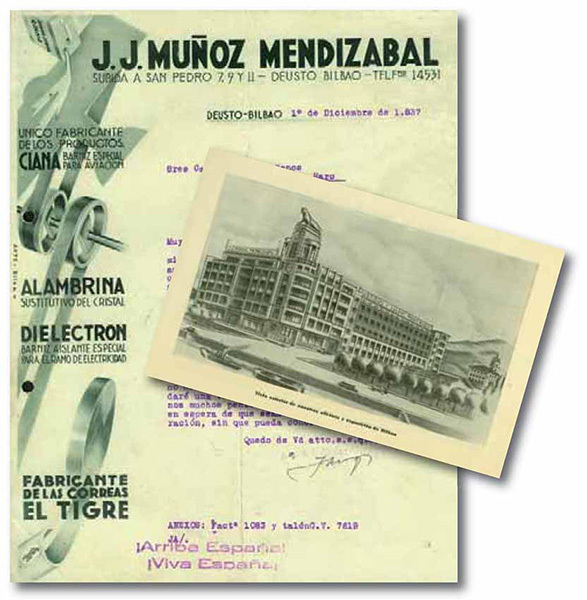 The industrial building, designed by Pedro Ispizua in 1940, housed the factory, office and showroom of the Muñoz Mendizabal company which manufactured transmission belts. 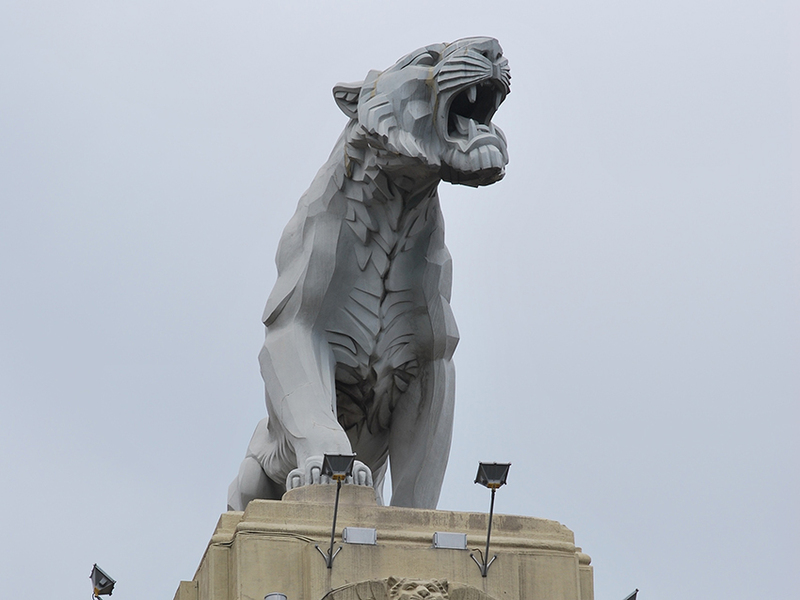 In 1942 the sculptor Joaquín Lucarini was commissioned to make the sculpture of the tiger, which is 9 m long. 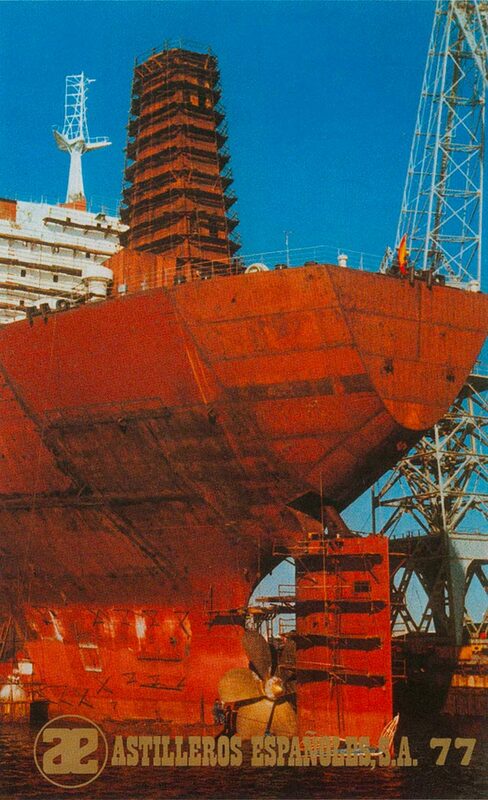 It was the icon chosen to project the image of powerful transmission belts which would resist any force. 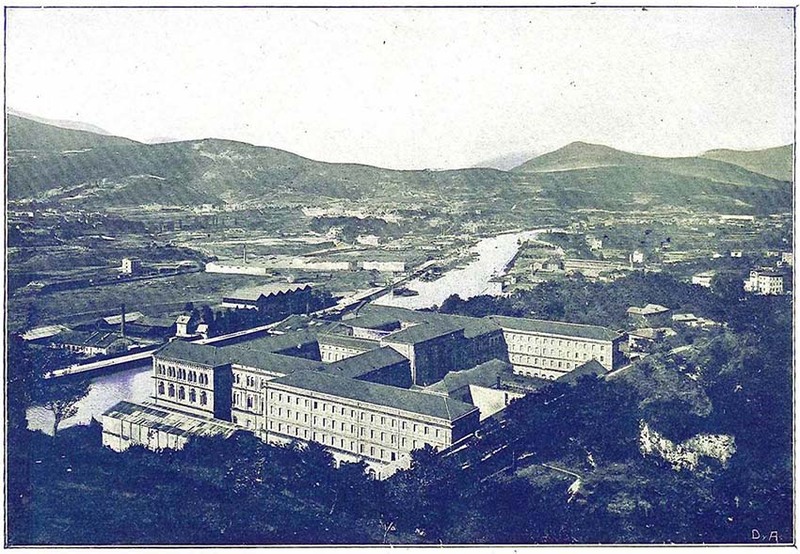 Some say that the owner had an argument with local business people and avenged himself by crowning his factory with a beast that "roars" day and night, looking towards Indautxu, the place where many who despised the humble origins of the owner of this factory lived. 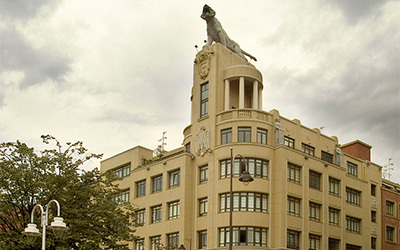 After restoration work which maintained its exterior, the building now houses luxury flats. 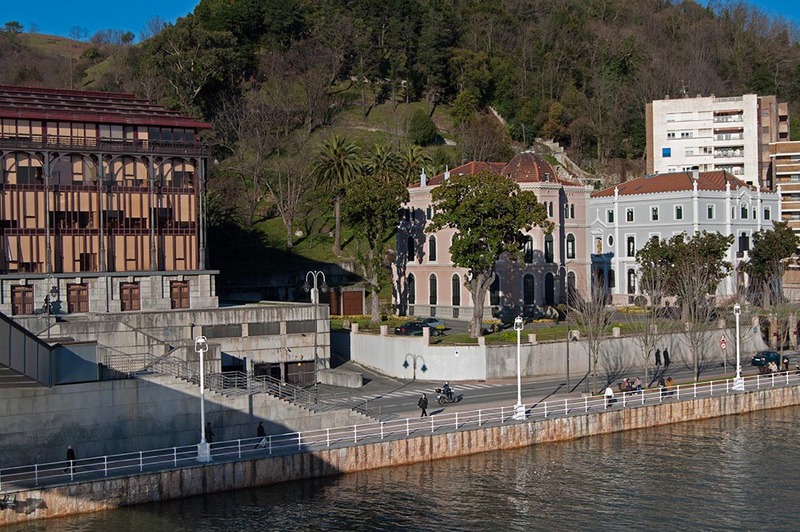 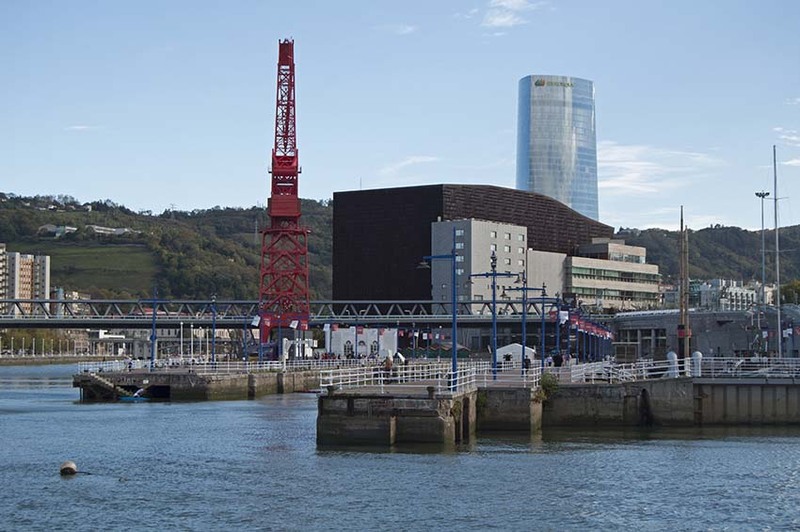 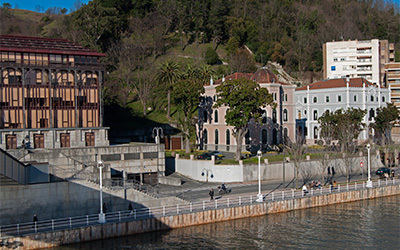 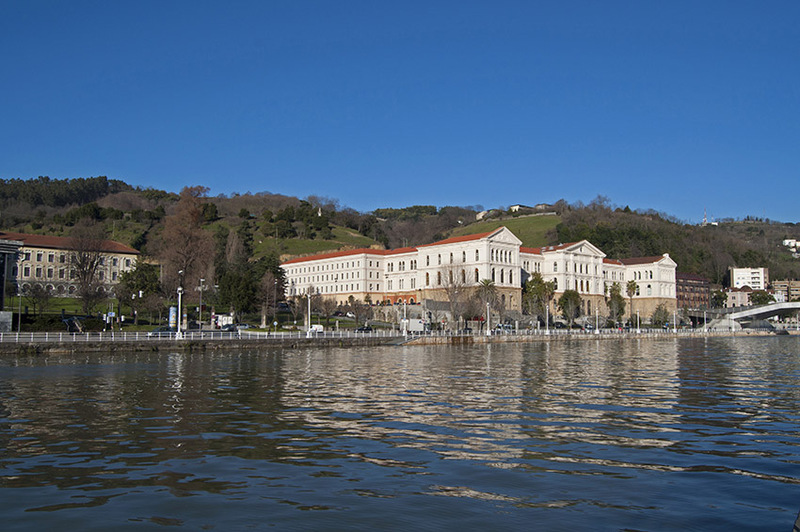 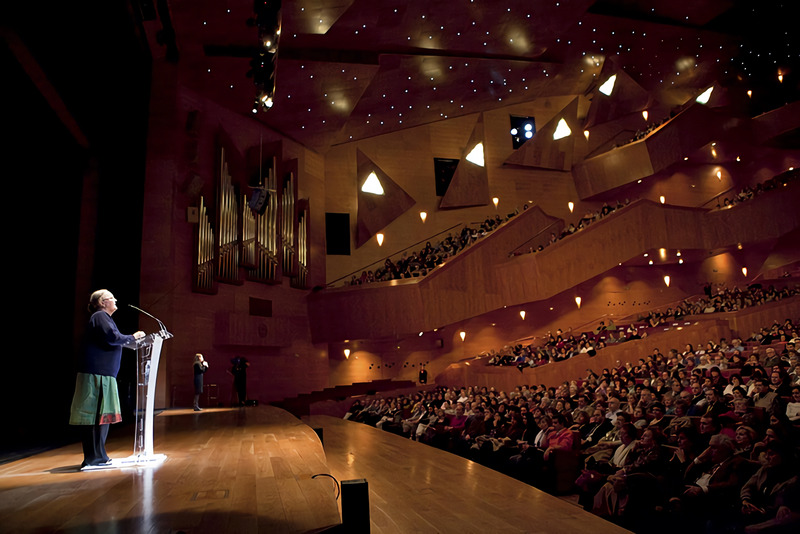 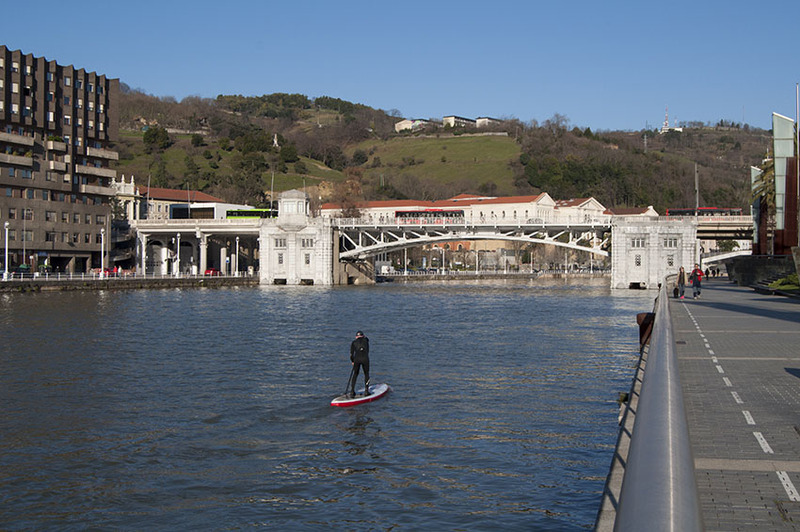 Following the course of the river is the Euskalduna Conference Centre and Concert Hall (5). 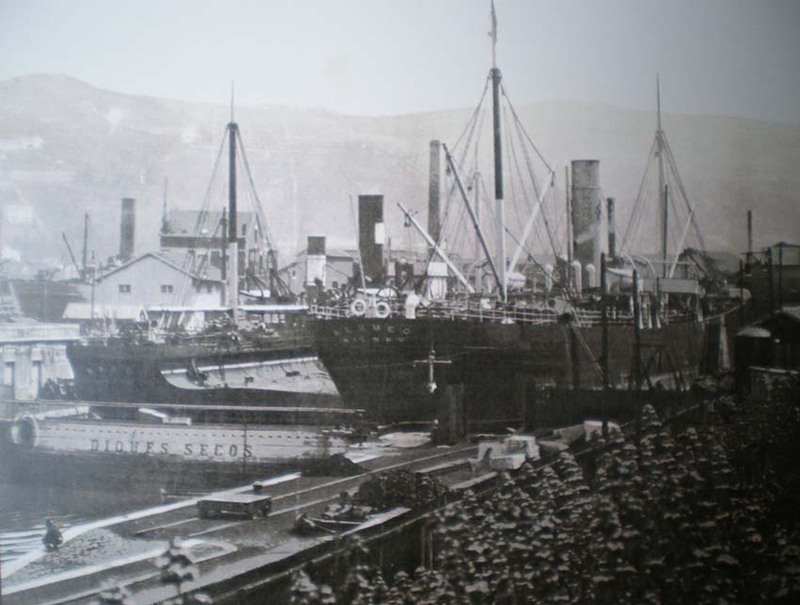 Its name comes from the name of the shipyard which stood here before; it opened in 1900 and closed in 1985. 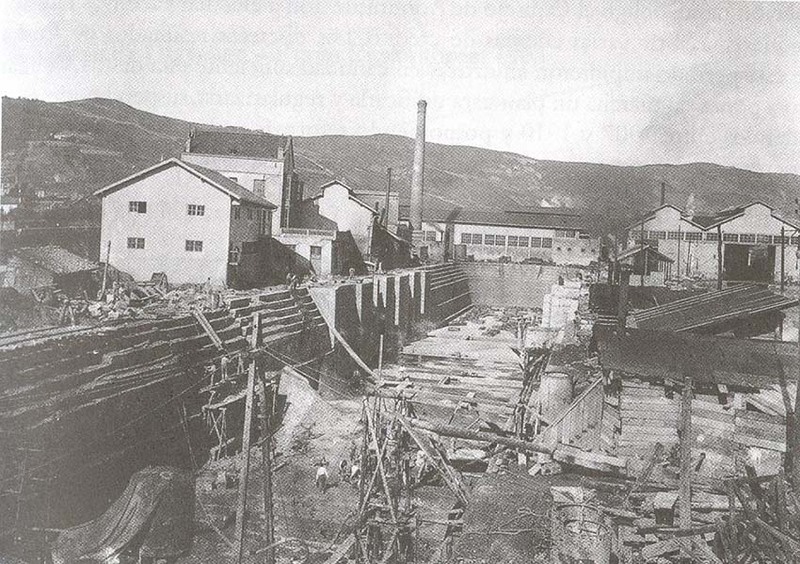 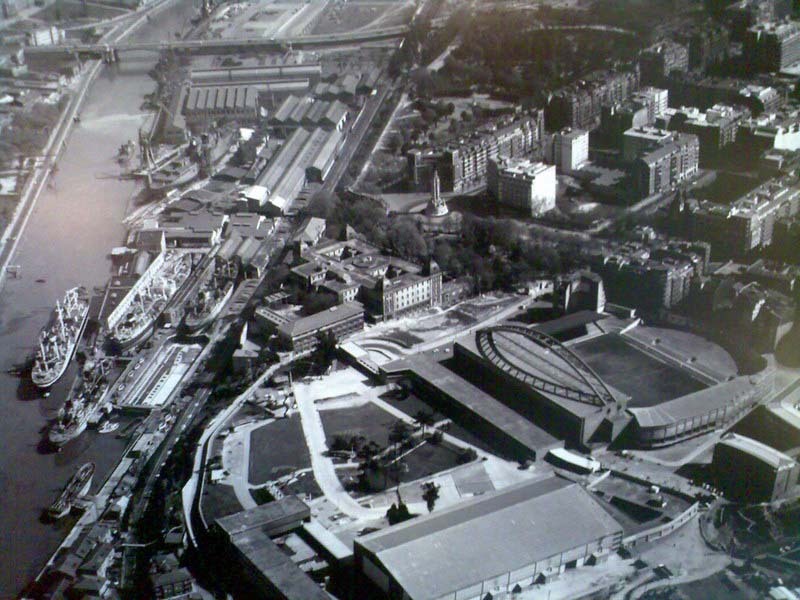 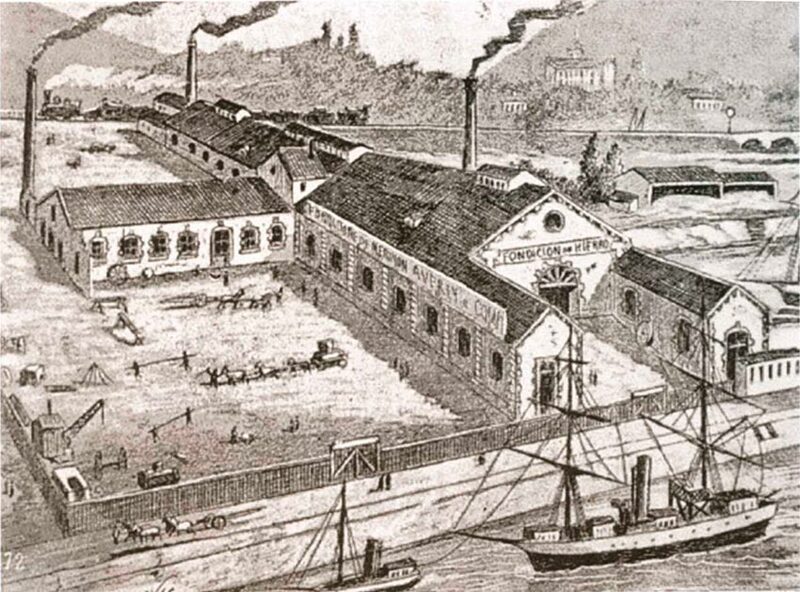 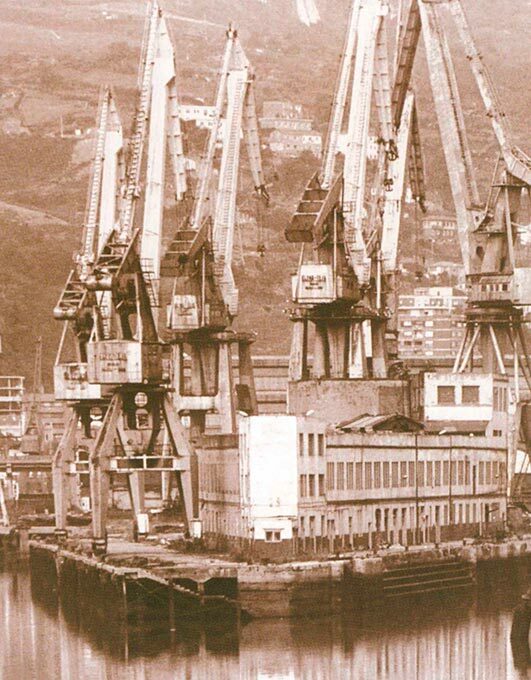 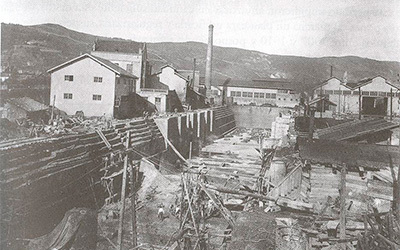 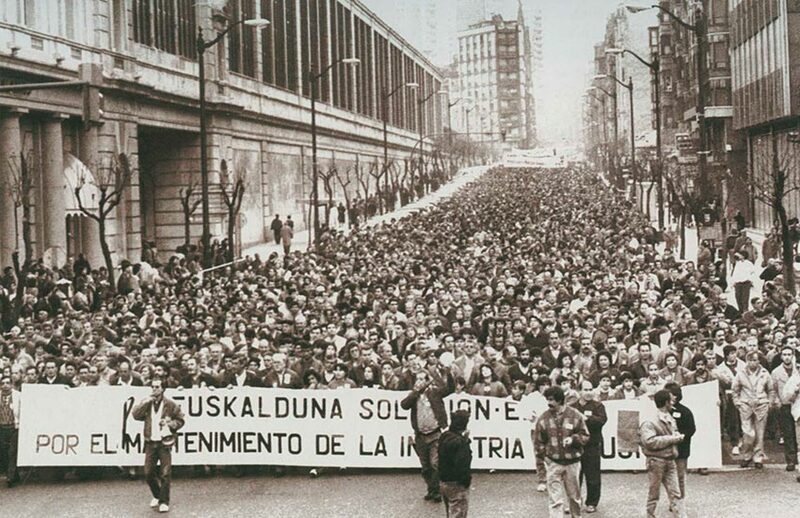 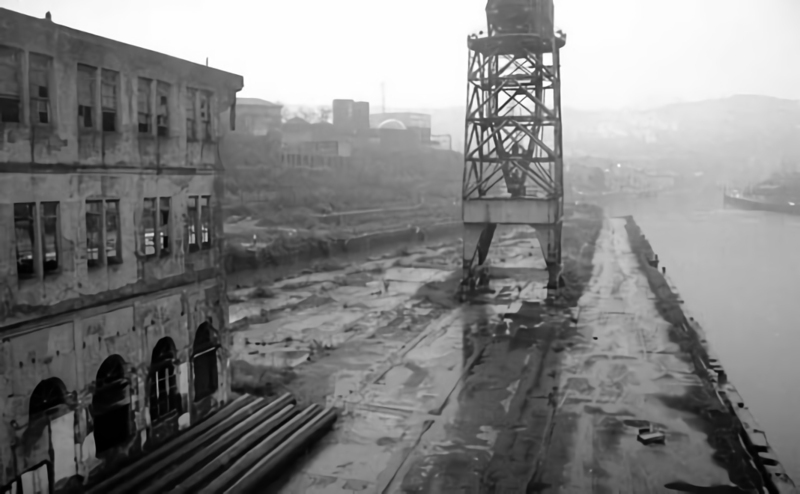 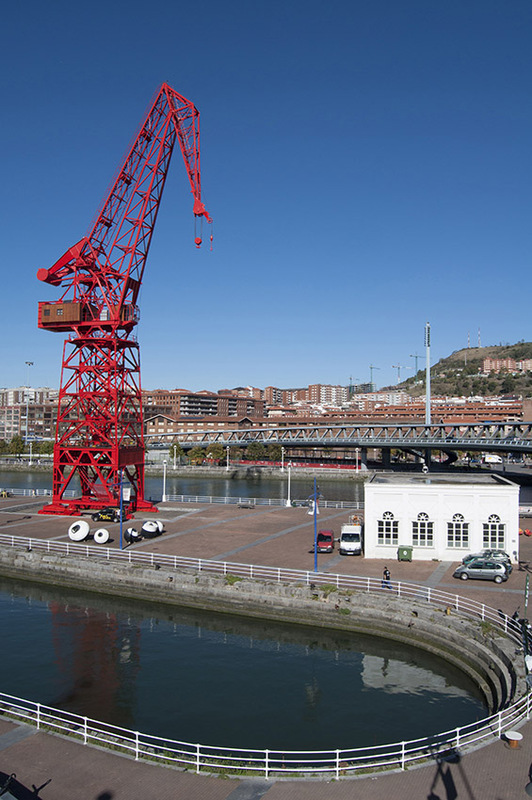 The Euskalduna shipyard was located on land occupied by a previous shipyard, the Compañía de Diques Secos, founded in 1868. 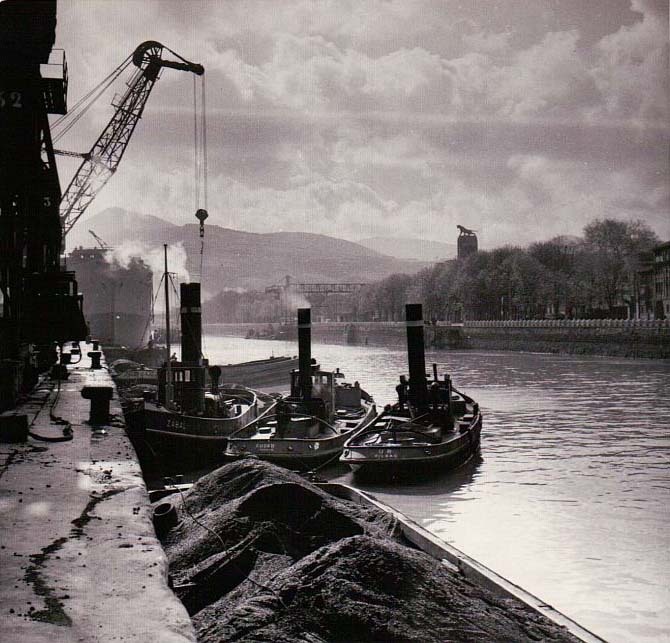 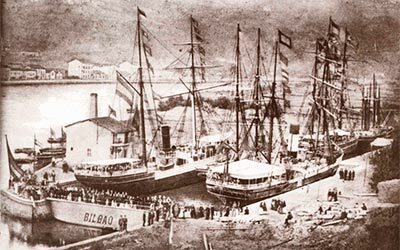 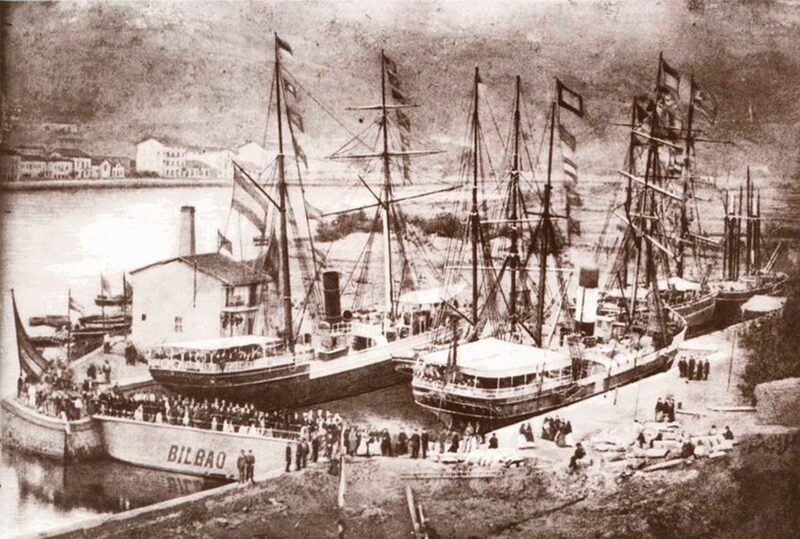 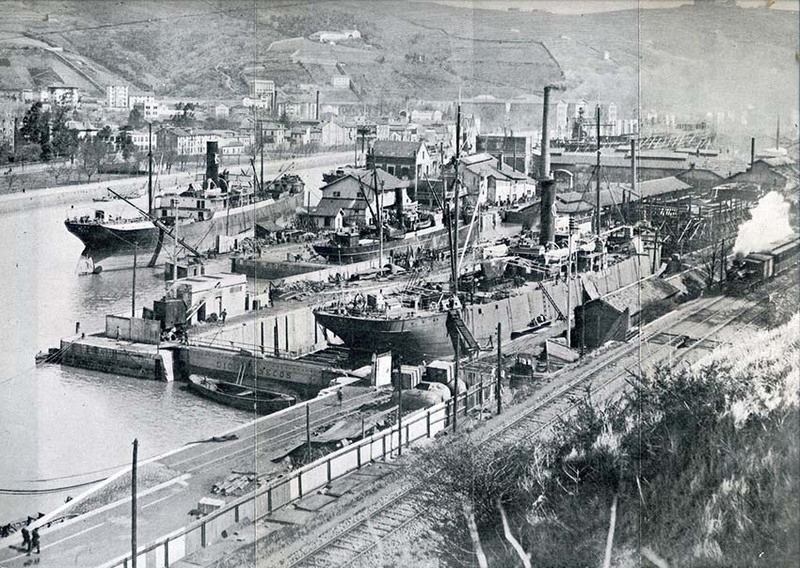 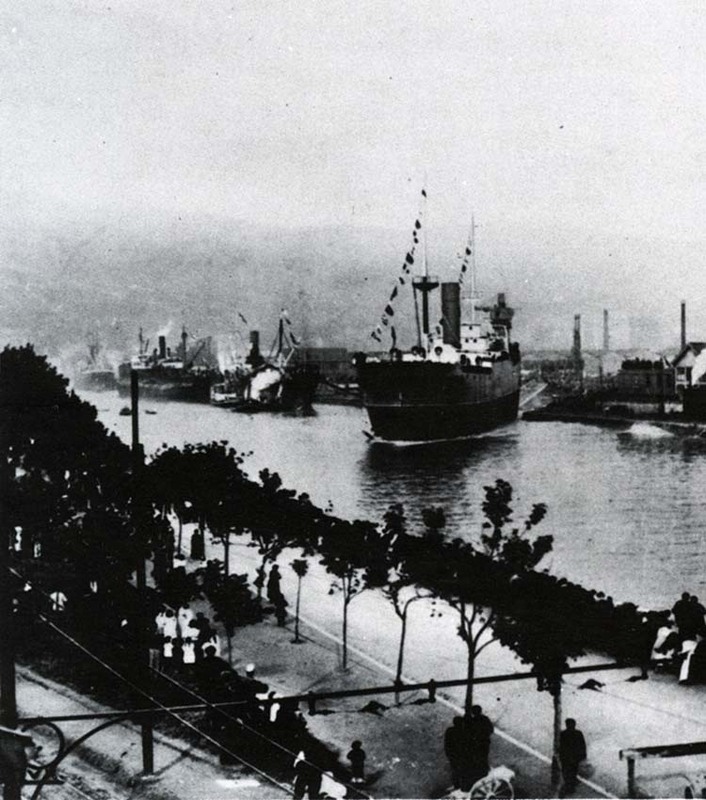 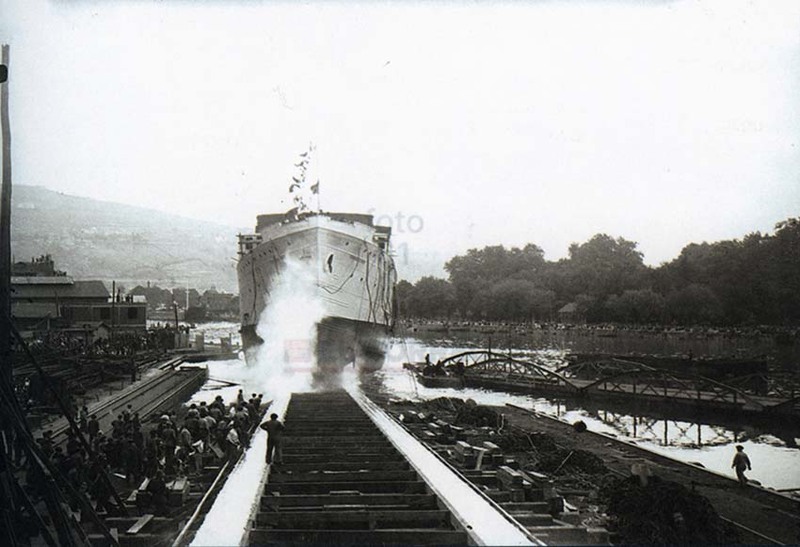 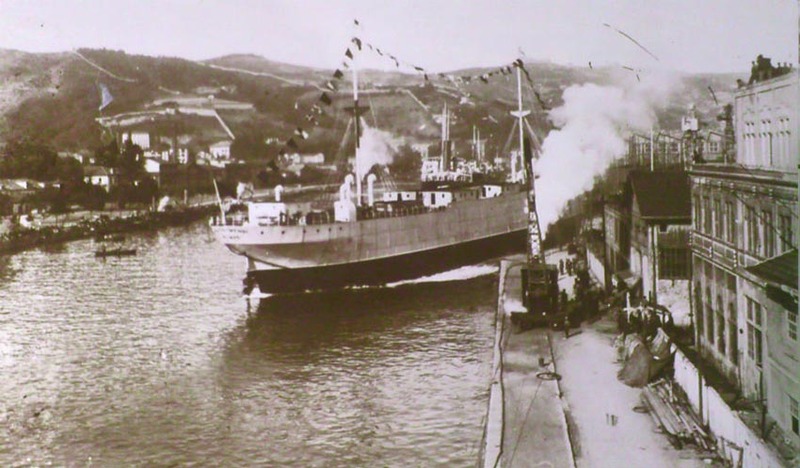 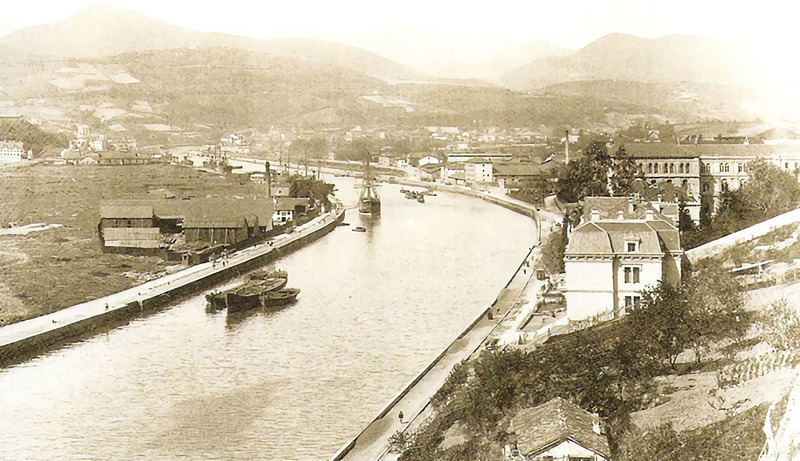 In the first decade of the twentieth century, the first iron and steam boats in the Basque Country left its dry docks. 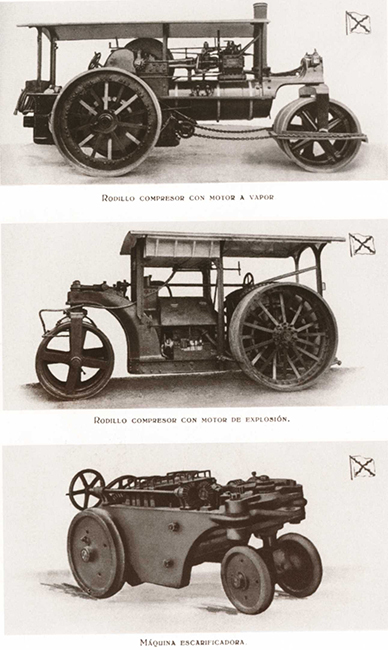 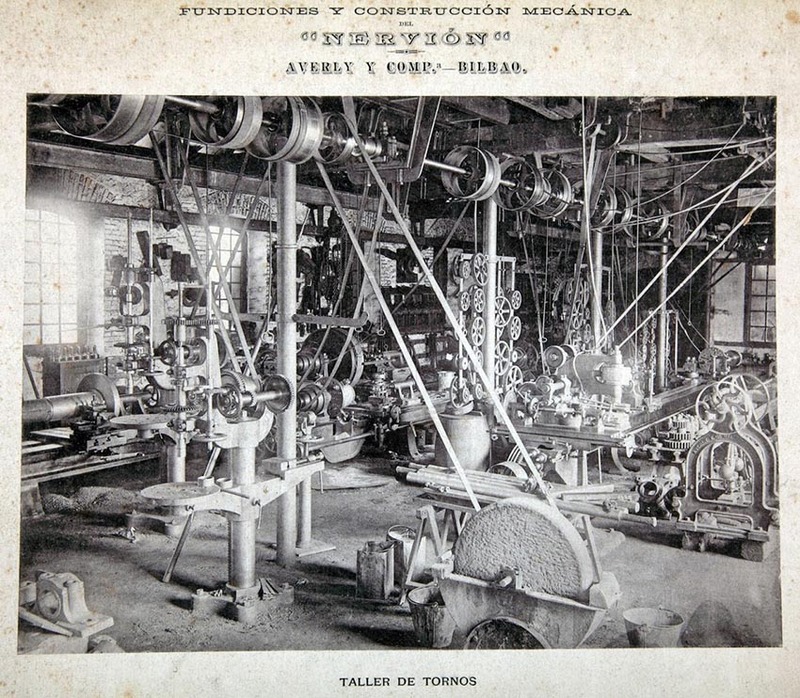 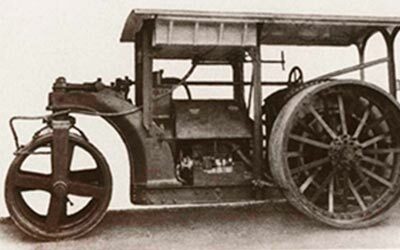 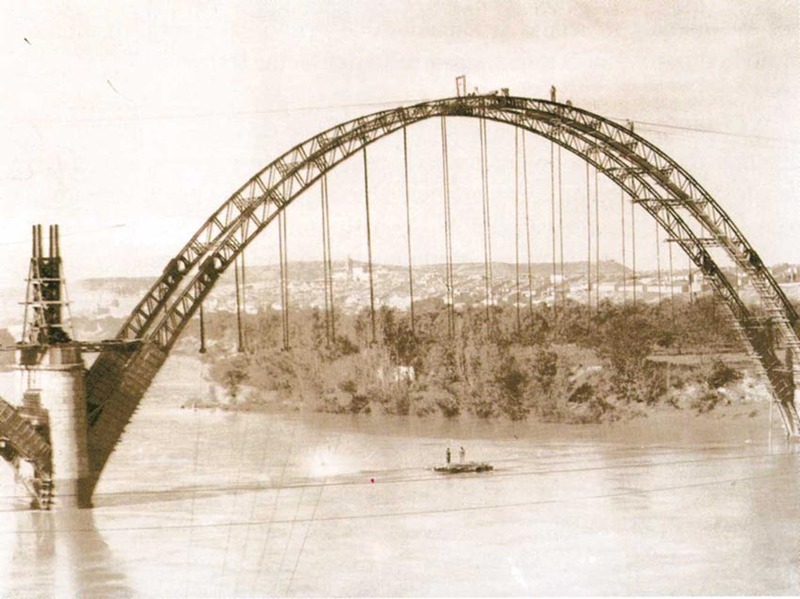 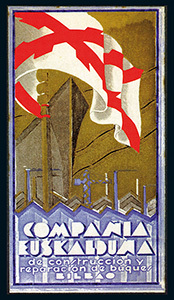 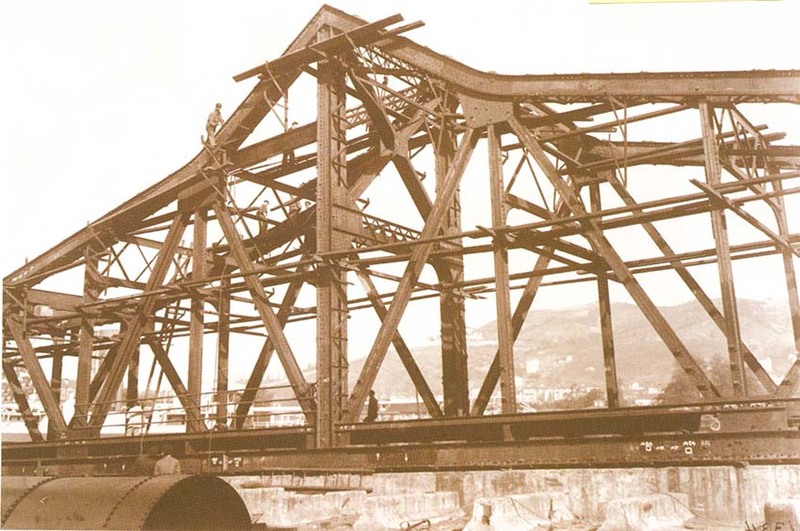 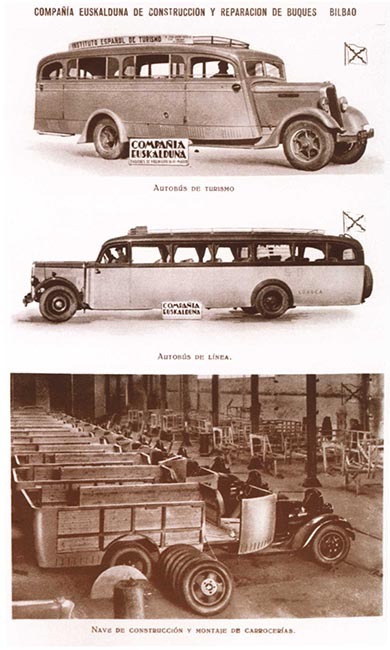 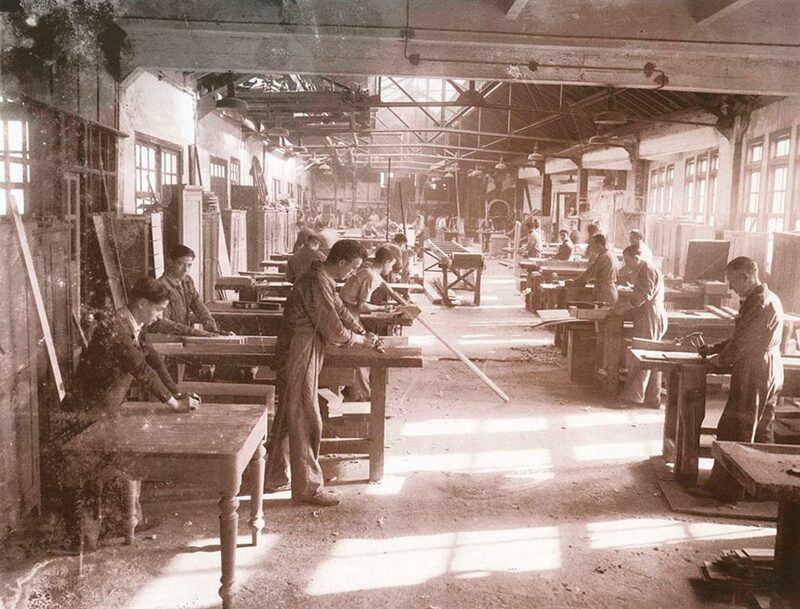 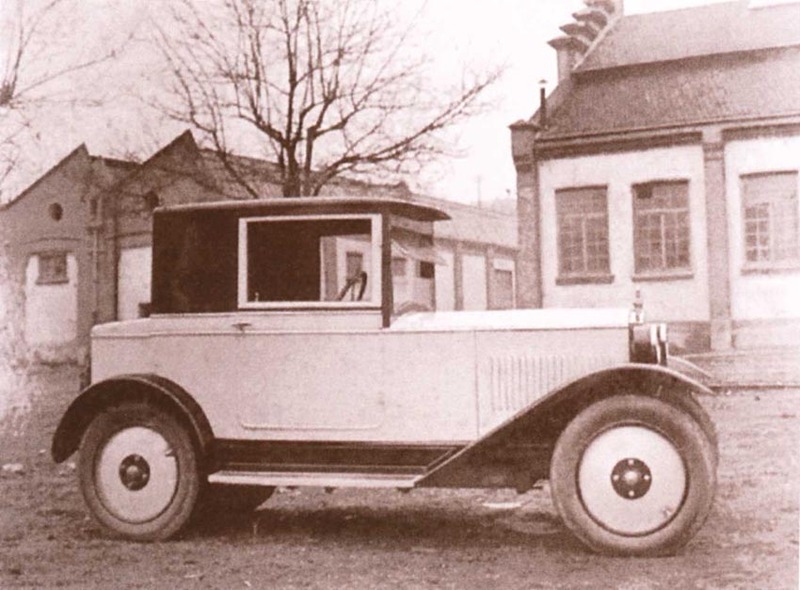 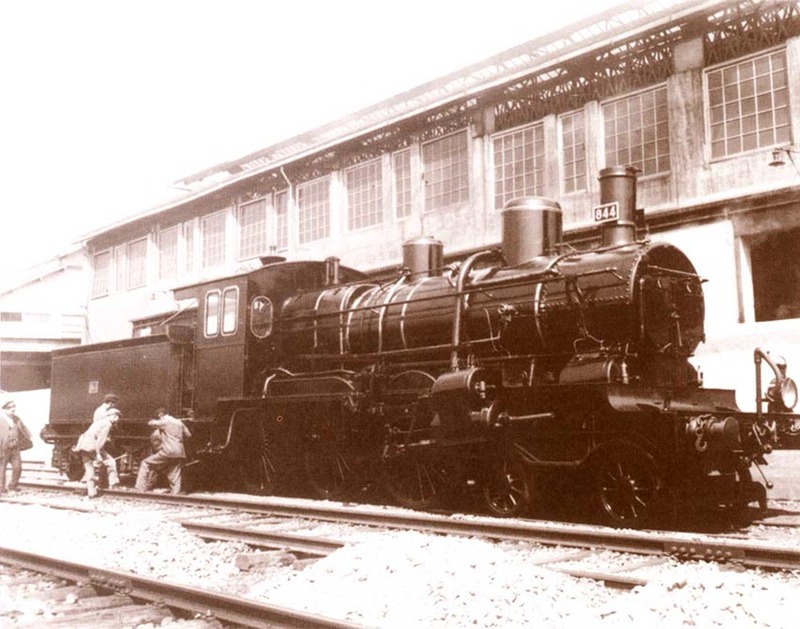 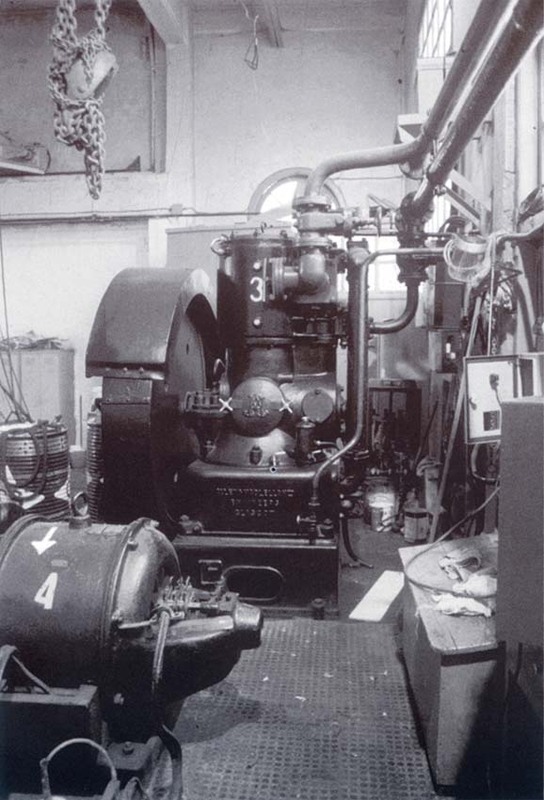 From 1925 on, through new facilities in the neighbouring area of Olabeaga in the nearby valley of Asúa and in Madrid, it used its metalworking expertise and complete installations (from casting to final assembly) to produce, more sporadically, goods such as railway machinery, automobiles, bridges and boilers. 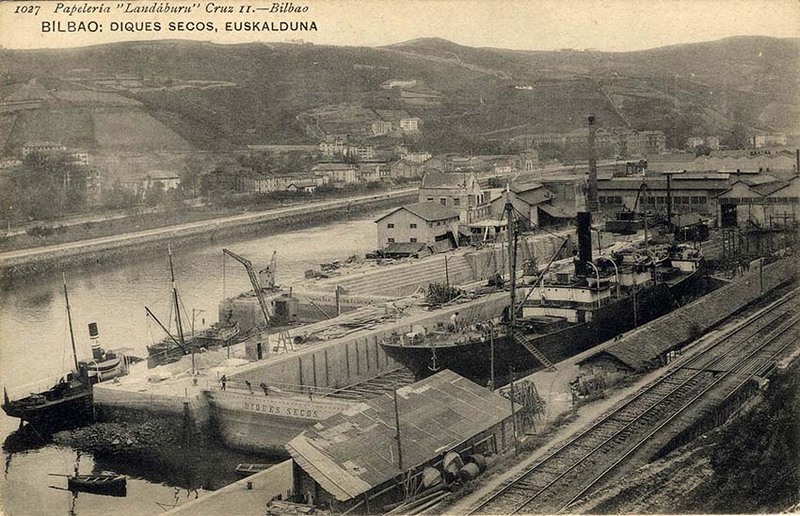 Of the old premises, which occupied 90,000 m2, the only things that remain are the Pump House at the bottom, the crane known as Carola as a tribute to the hundreds of cranes that stood upon this coastal landscape of the town not too long ago and finally, two of its dry docks with caisson lock gates. 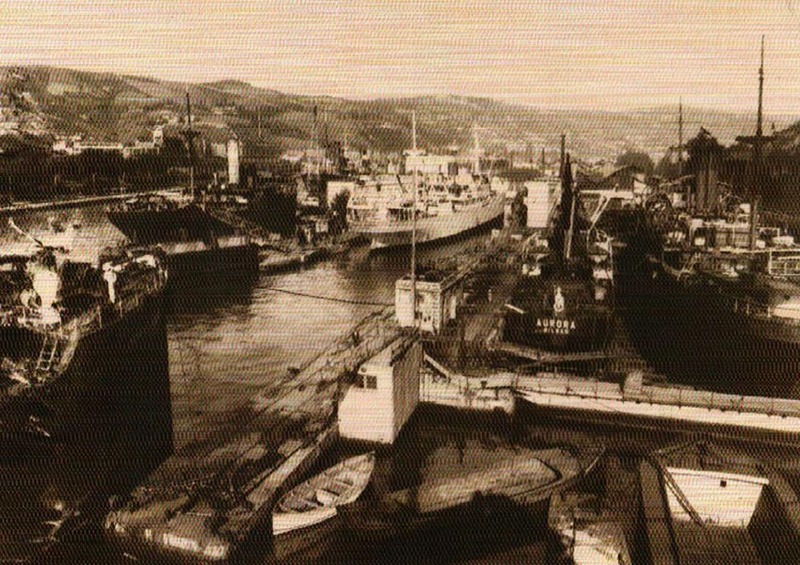 Some boats owned by the Maritime Museum are housed in dock number 2. 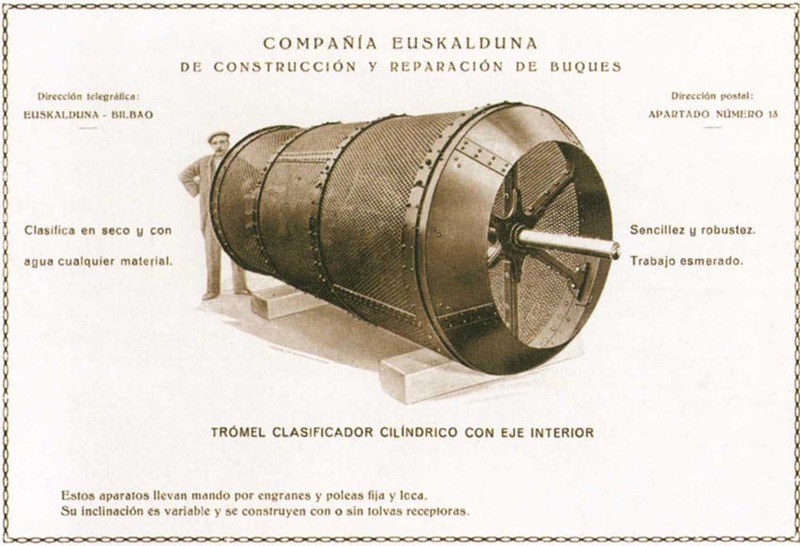 The Pump House was built in 1903. 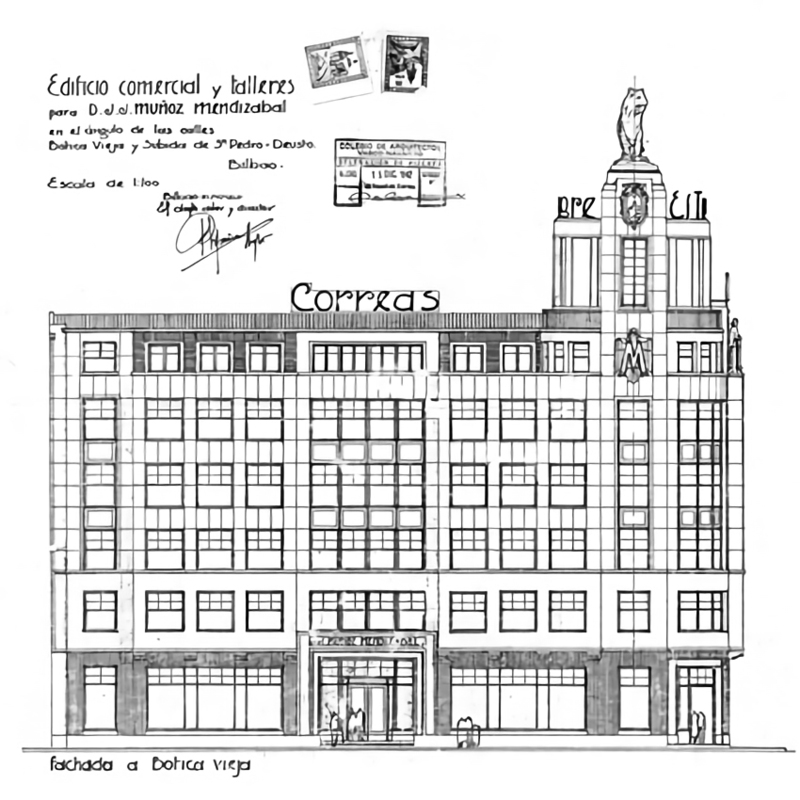 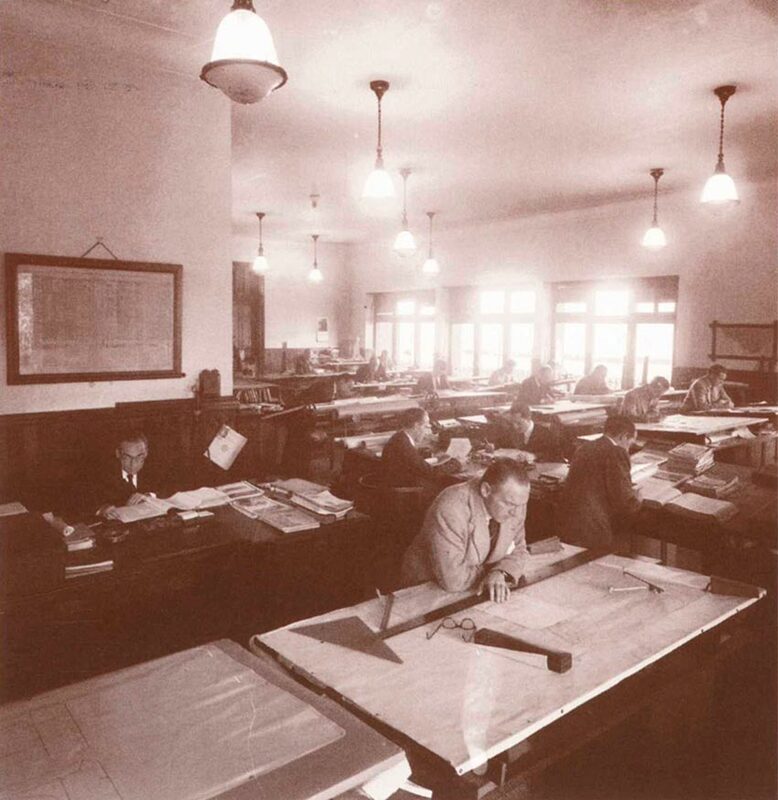 It was a pioneering building for its time because of the use of reinforced concrete beams, allowing it to have a spacious interior without any columns in the middle. 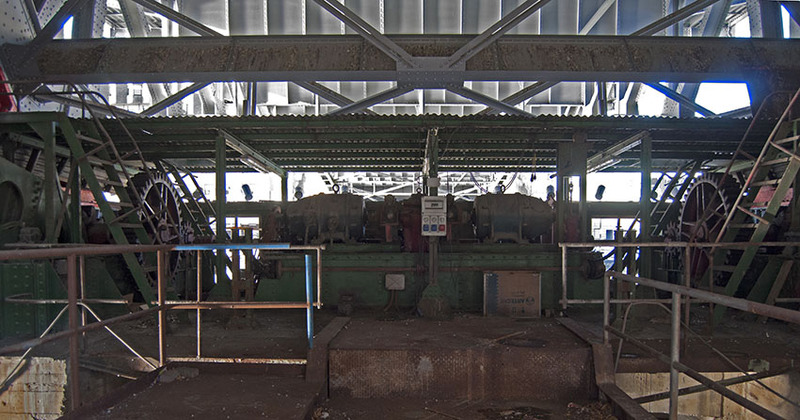 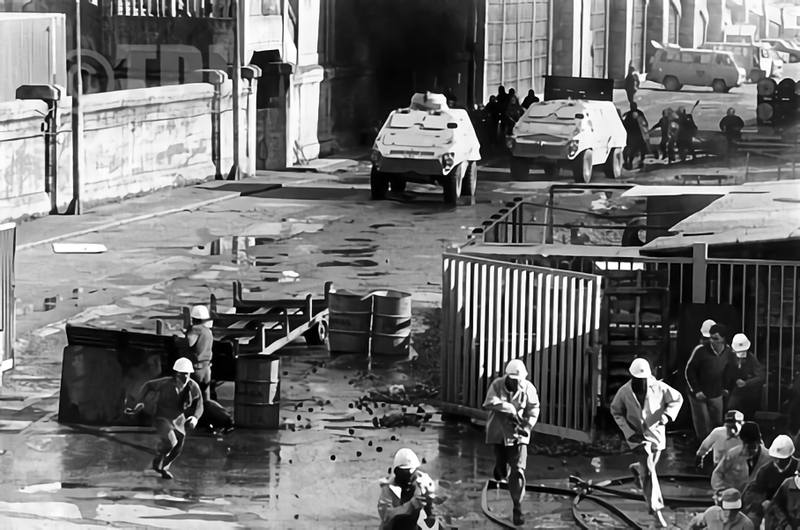 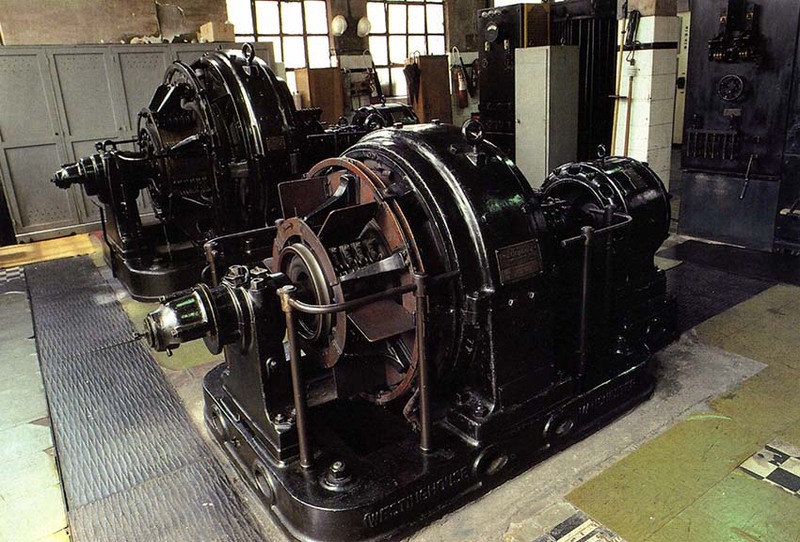 Its function was to house the pumps (it moved 9,000 m3/hour) for pumping out water and keeping the docks dry. 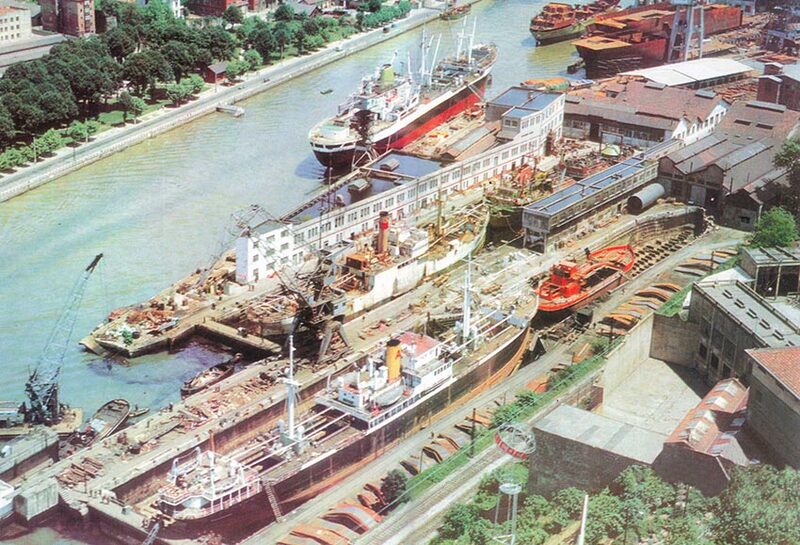 Of the original three dry docks, only 2 and 3 have been preserved. 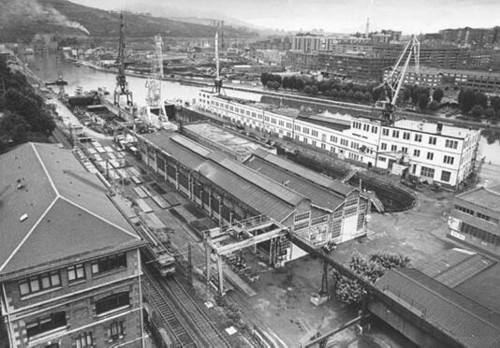 Dry dock nº2 was part of the infrastructure of the previous company, Diques Secos; it was used to repair and clean ships’ hulls. 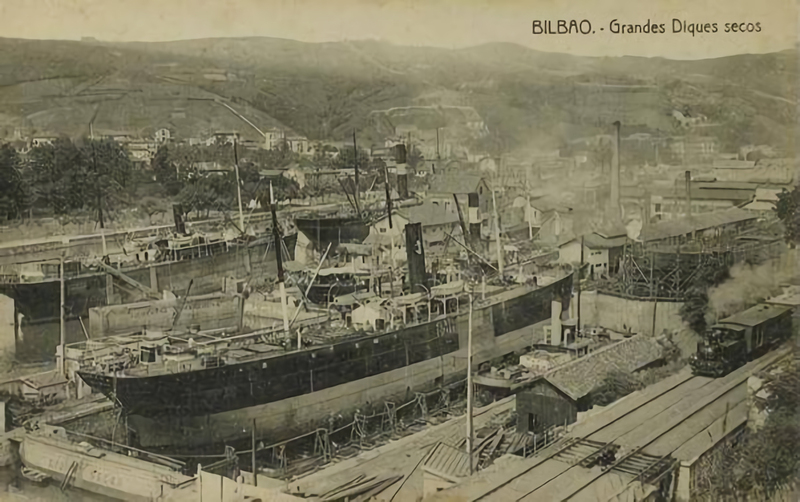 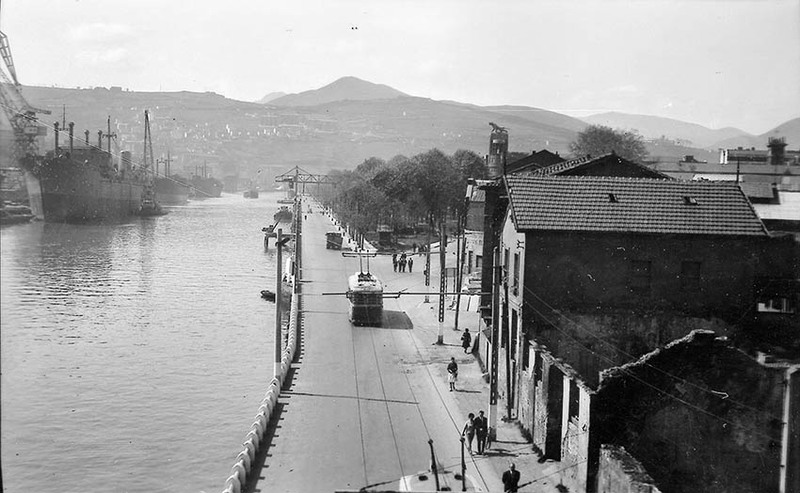 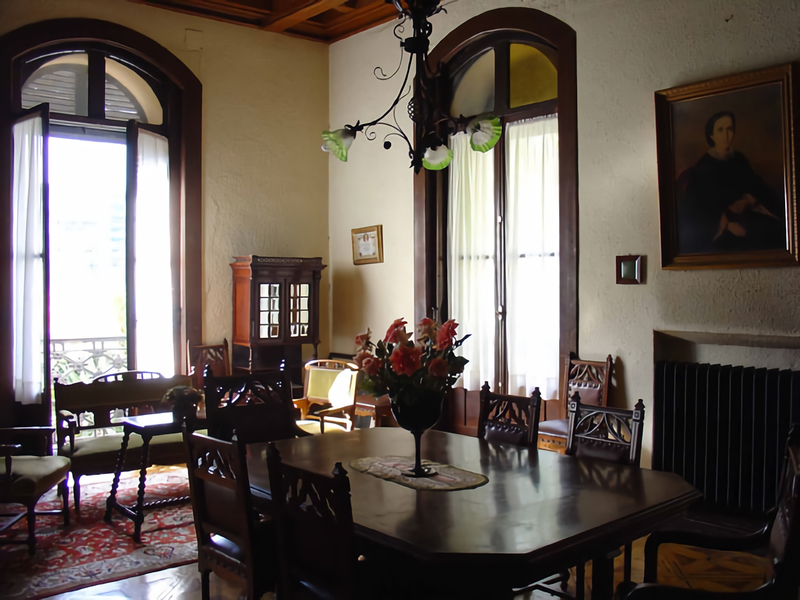 Built in 1868, it was expanded in 1902 by the engineer Recaredo Uhagón (also responsible for the first Sanitation Plan for Bilbao) to increase its capacity. 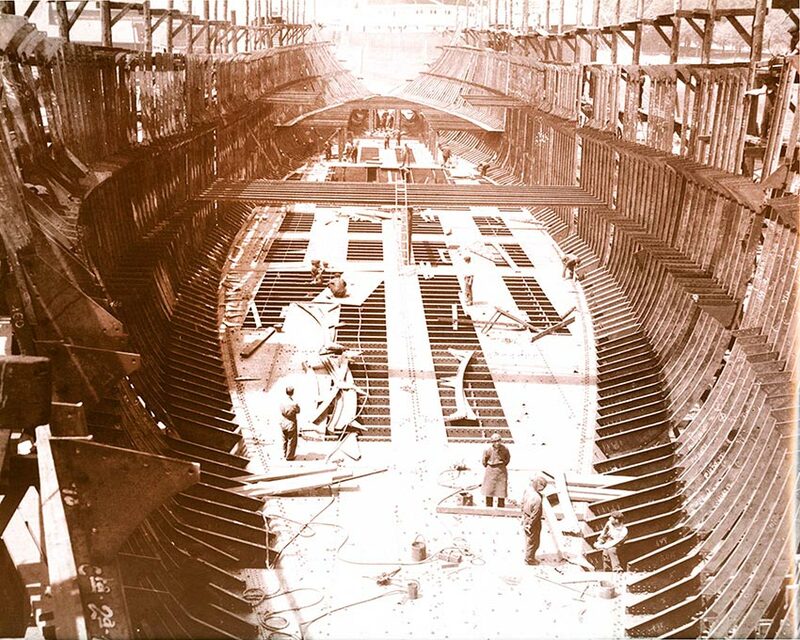 It is a dry dock which is 121 m long, with hydraulic brickwork walls crowned with masonry. 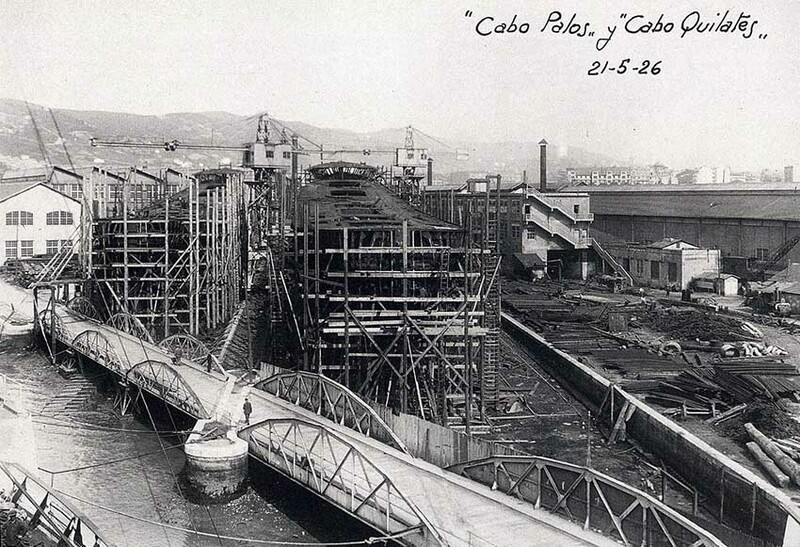 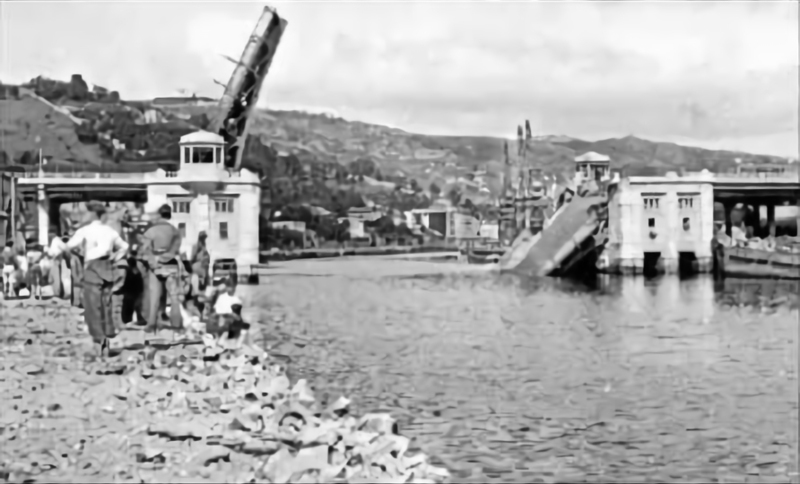 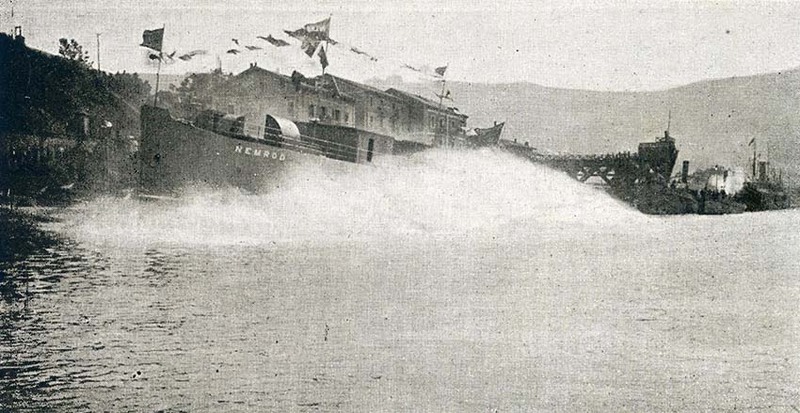 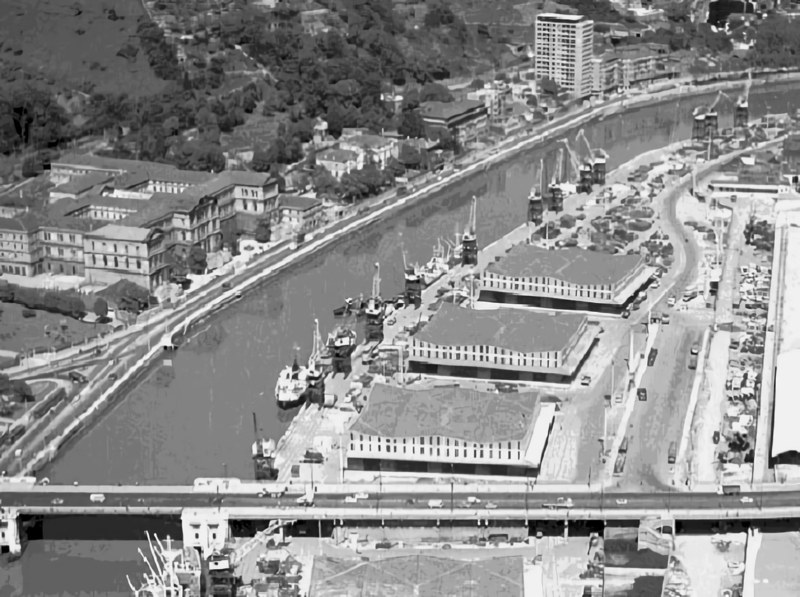 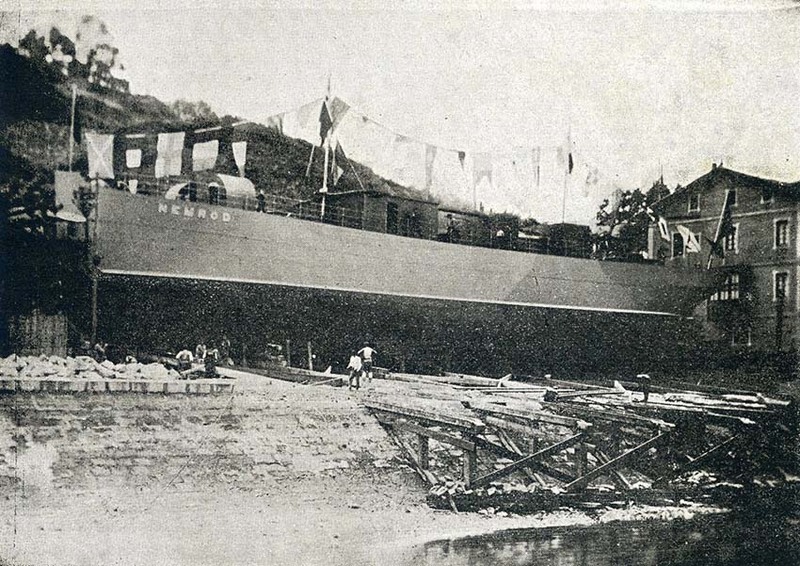 Around the same time as dock nº2 was extended, a third dock was built, also designed by Uhagón. 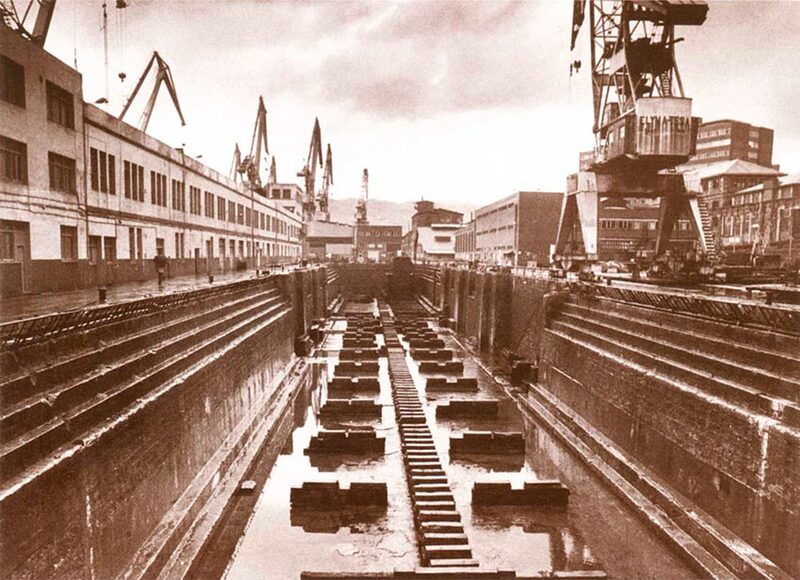 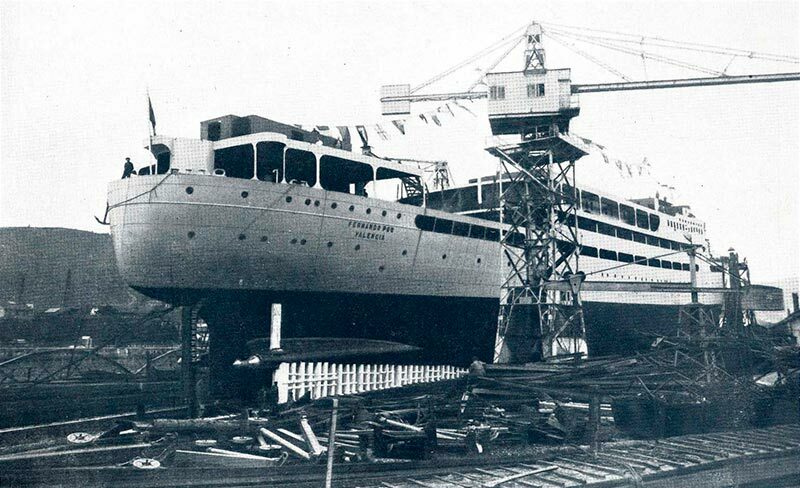 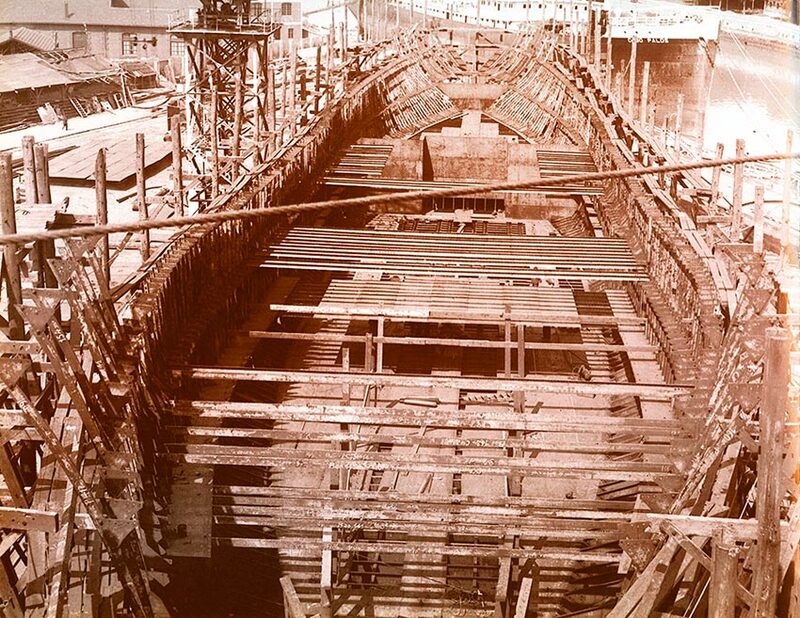 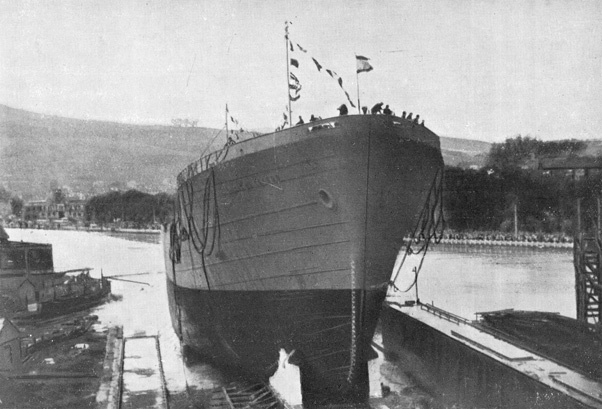 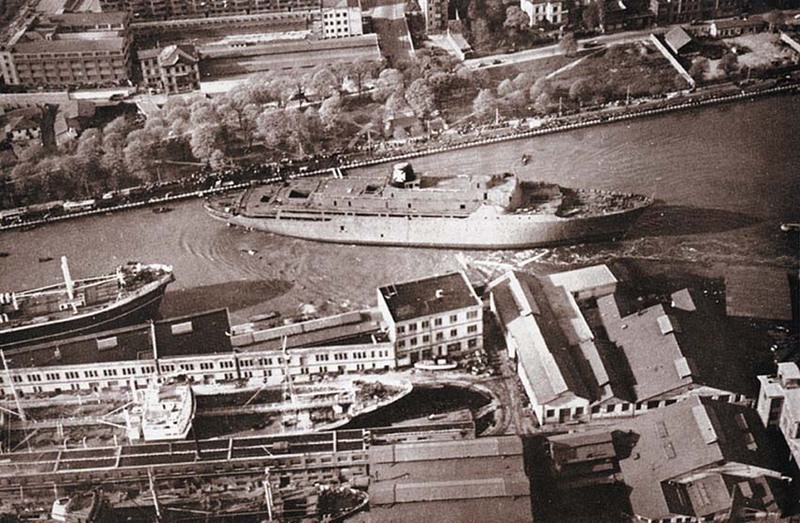 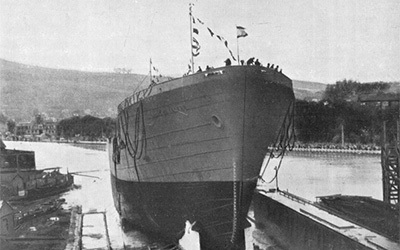 It had a capacity of 11,000 tons (three times dry dock nº2).